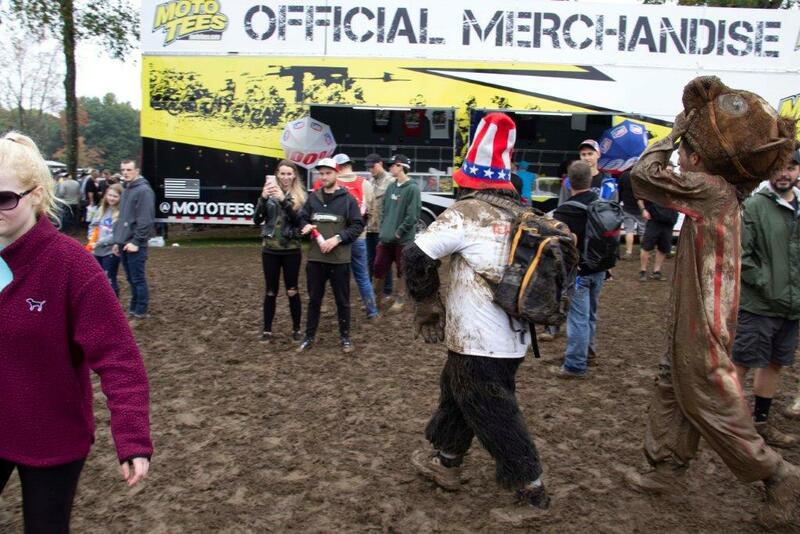 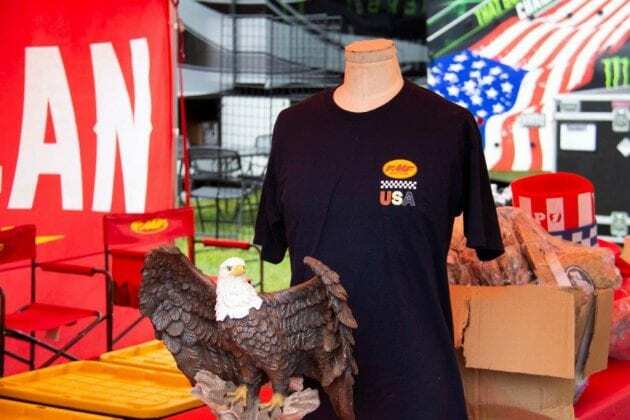 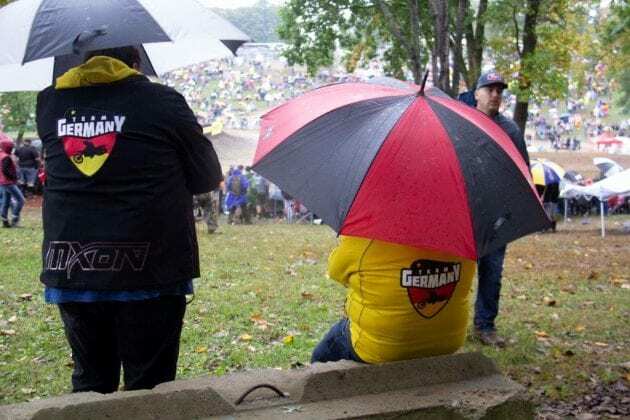 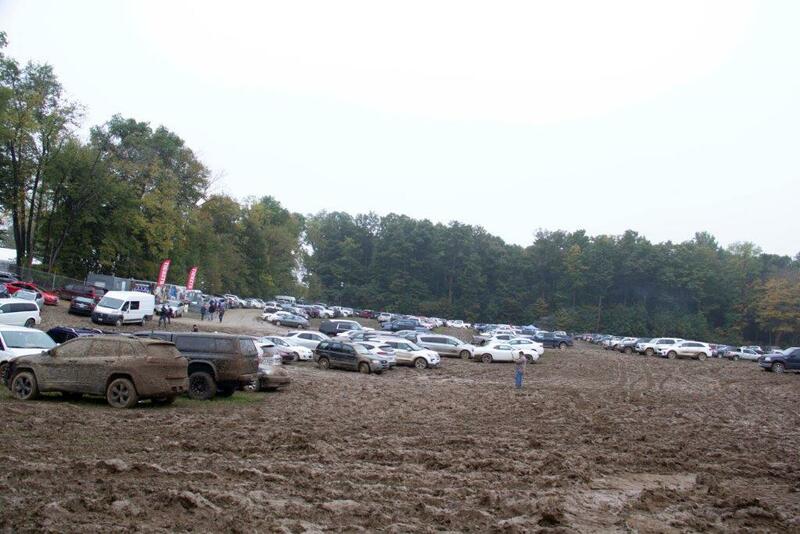 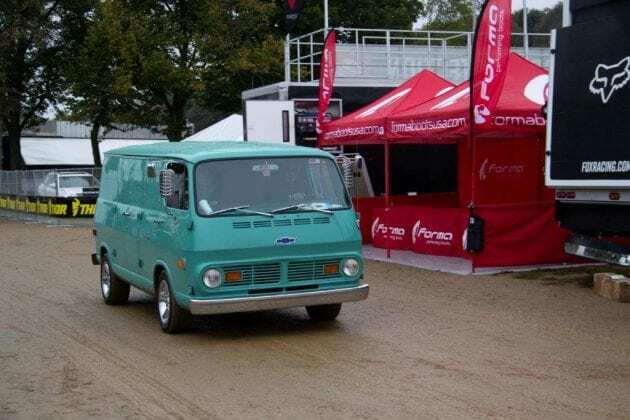 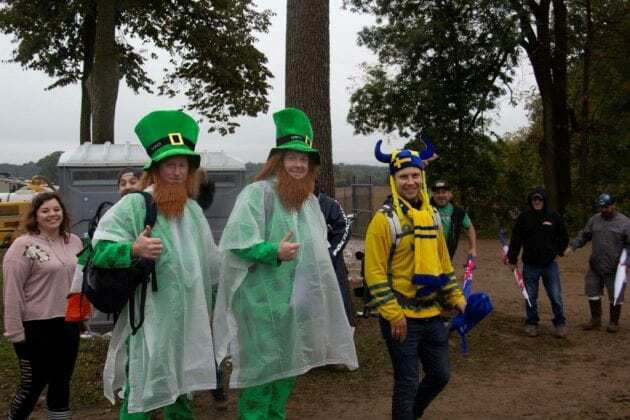 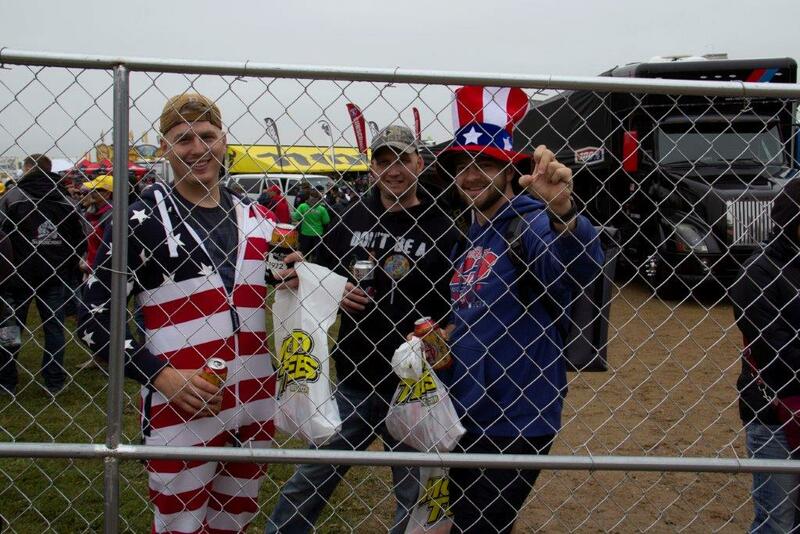 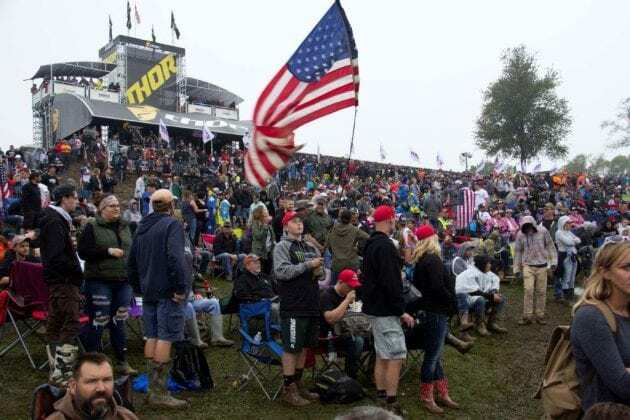 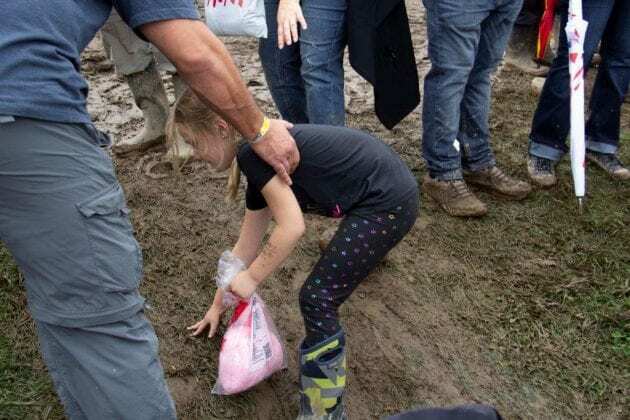 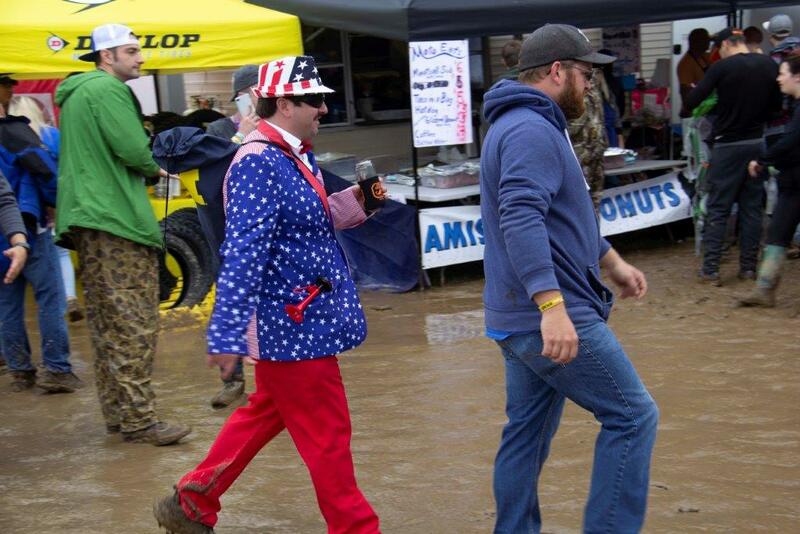 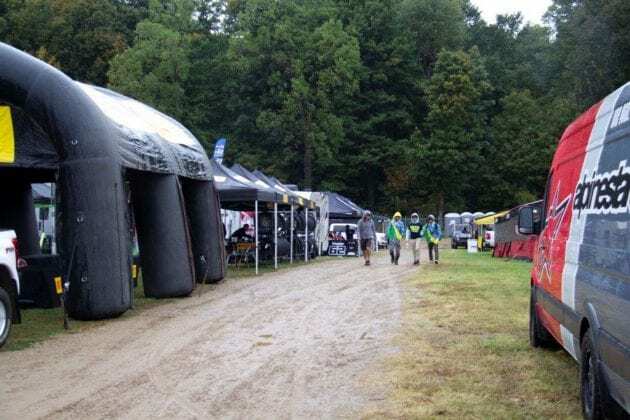 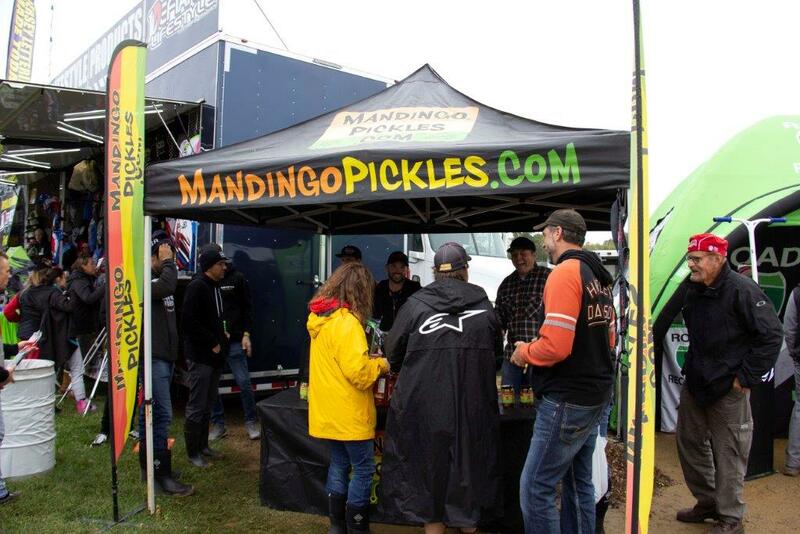 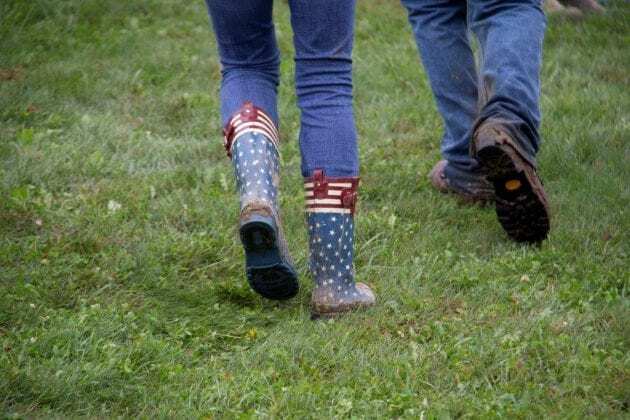 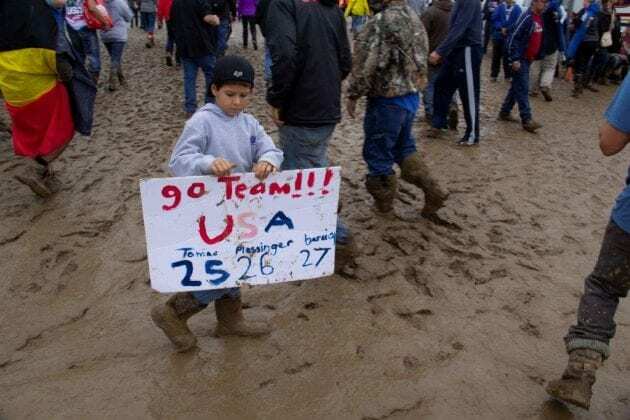 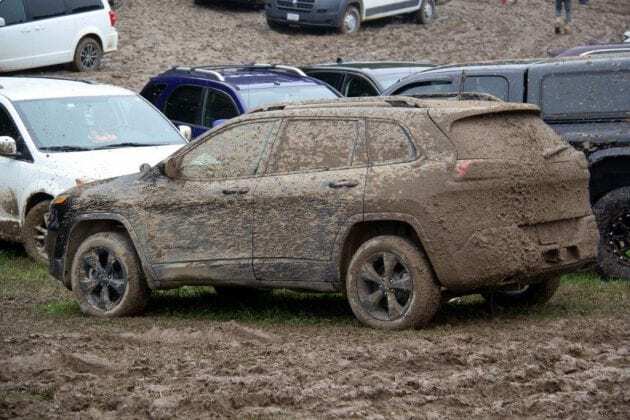 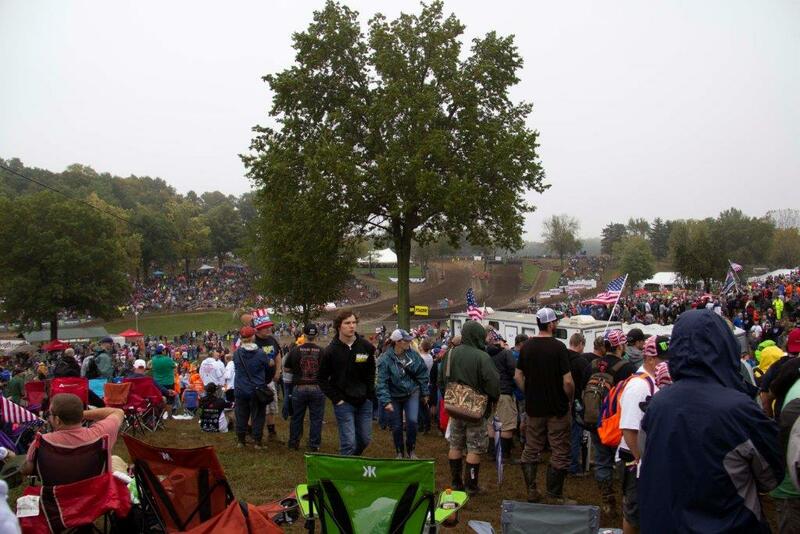 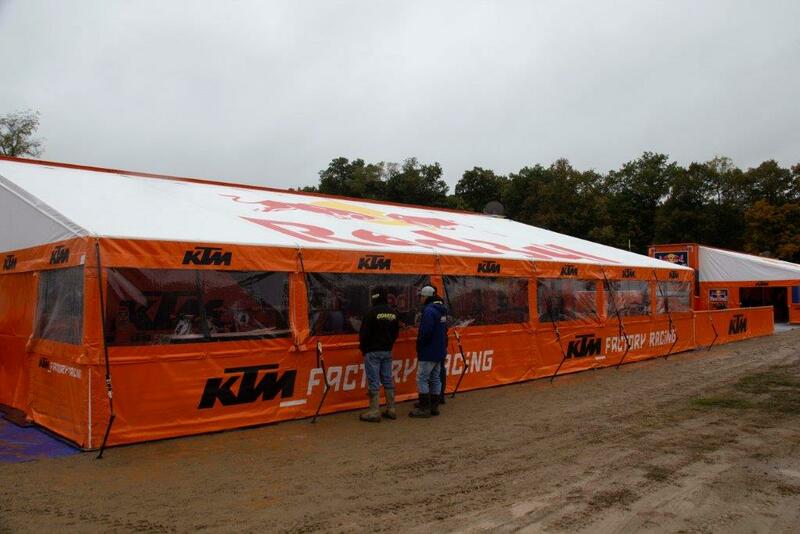 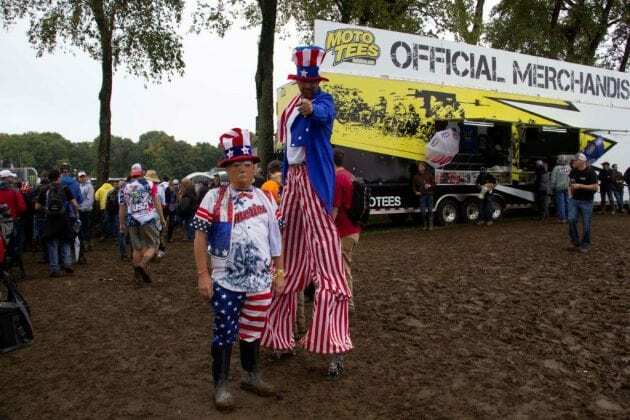 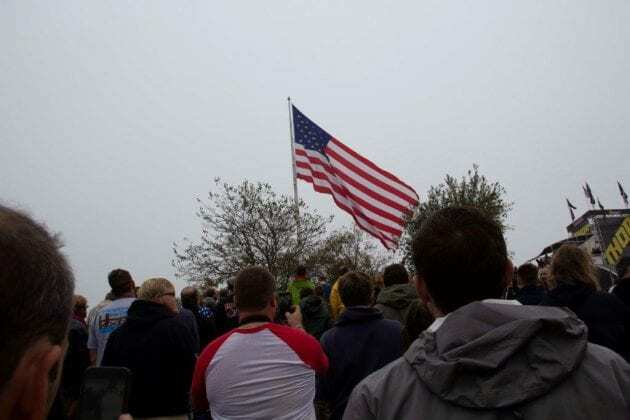 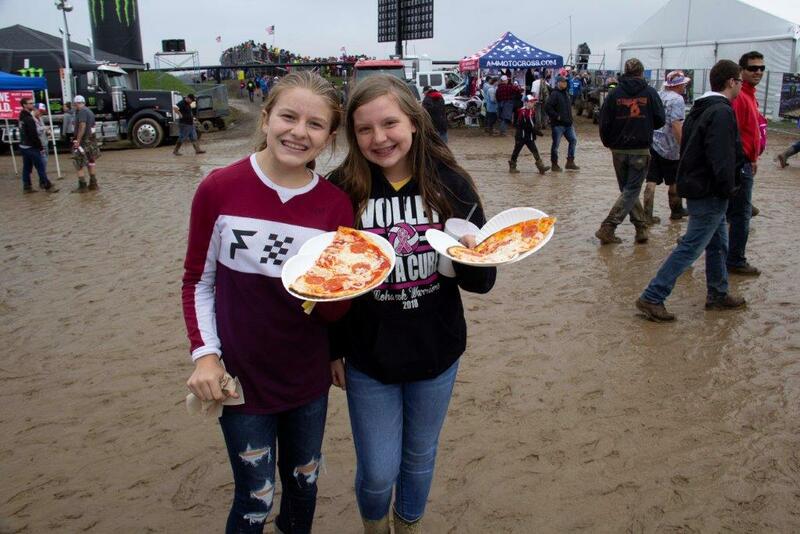 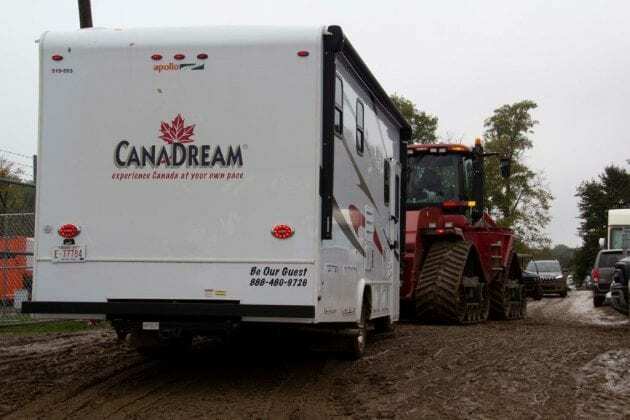 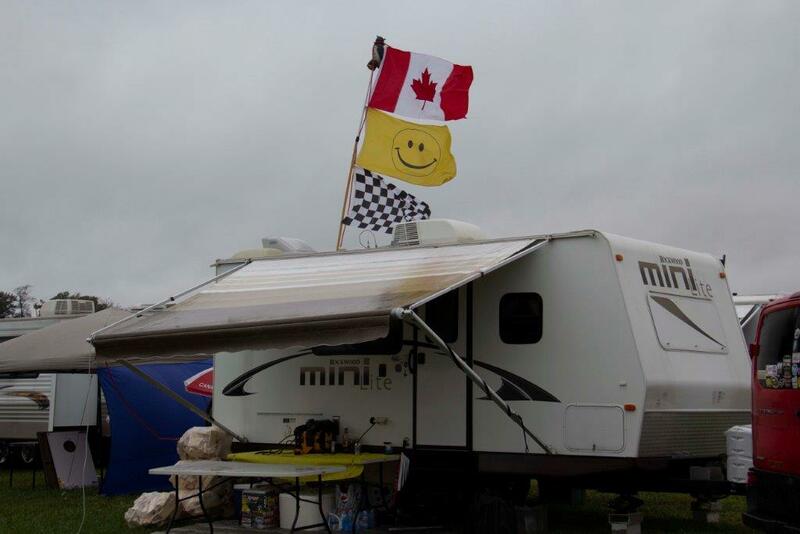 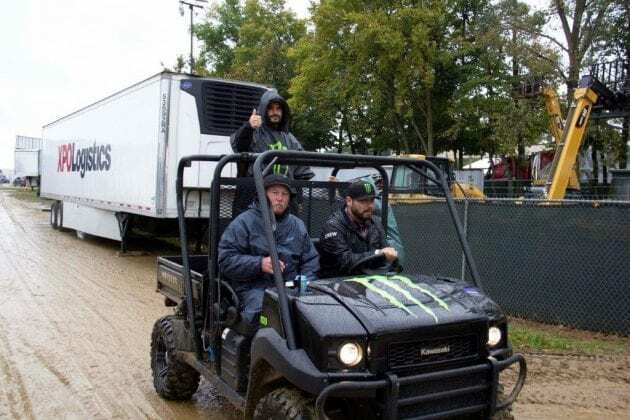 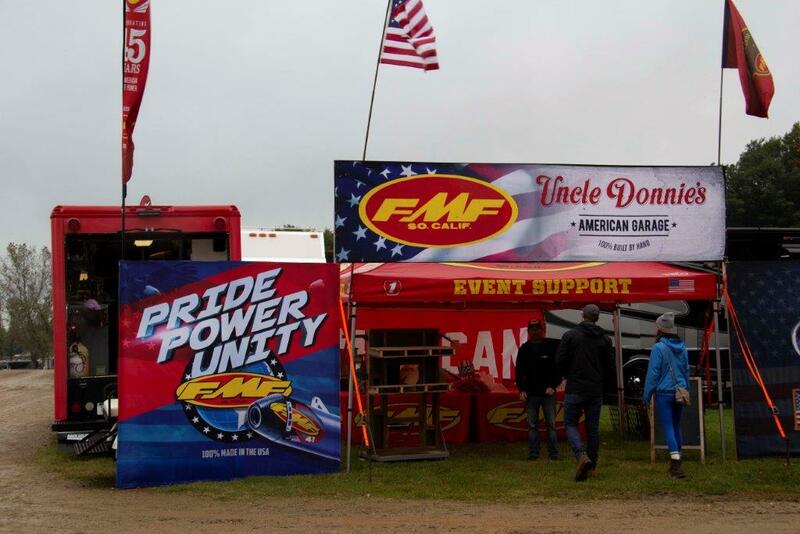 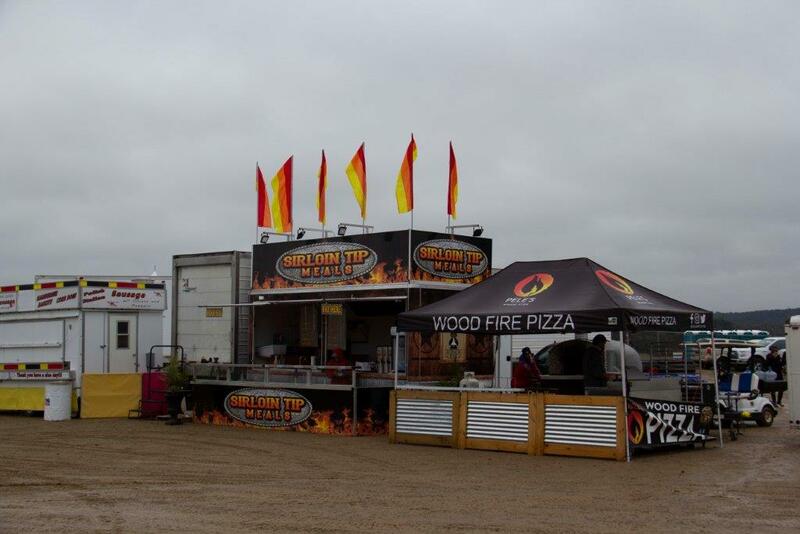 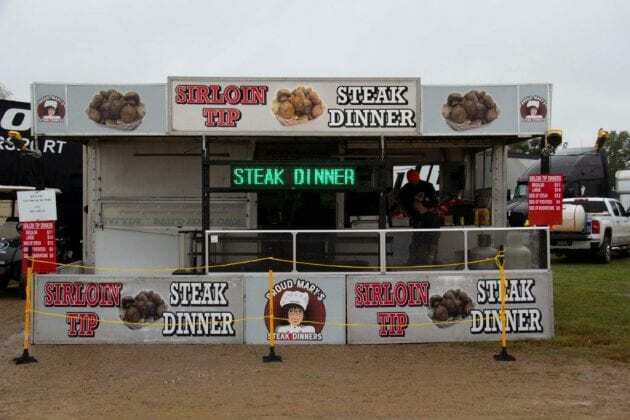 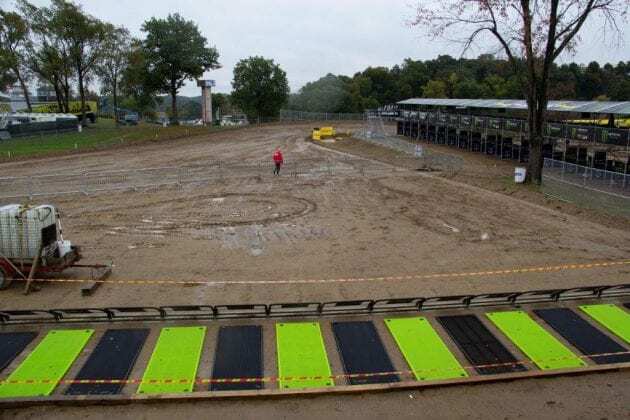 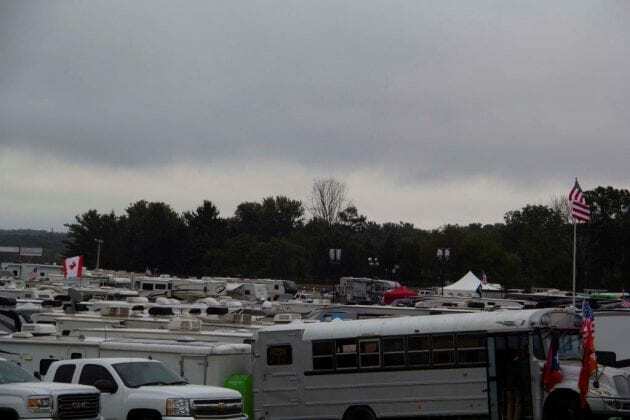 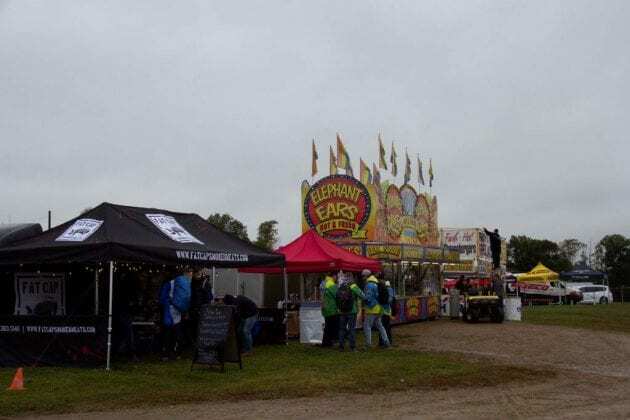 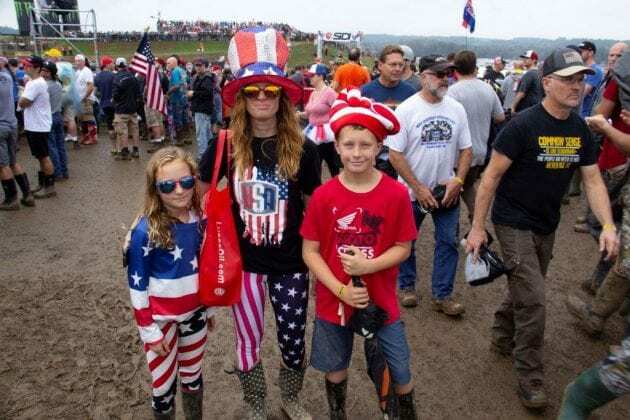 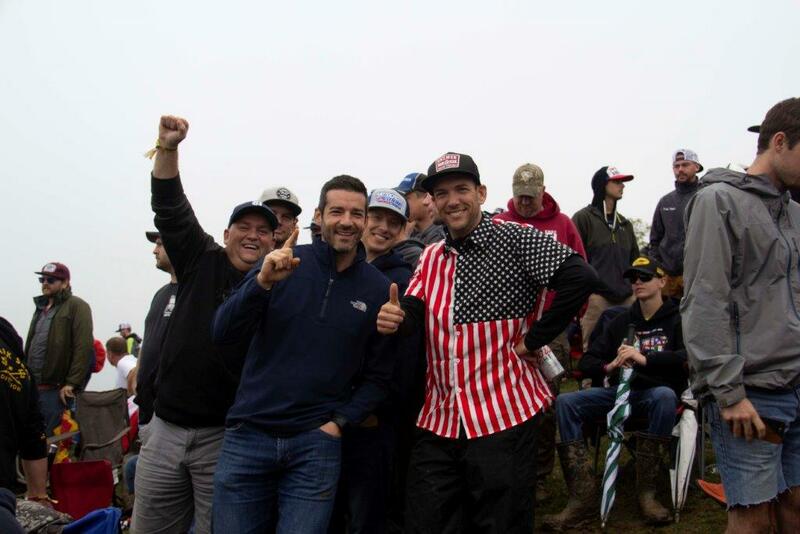 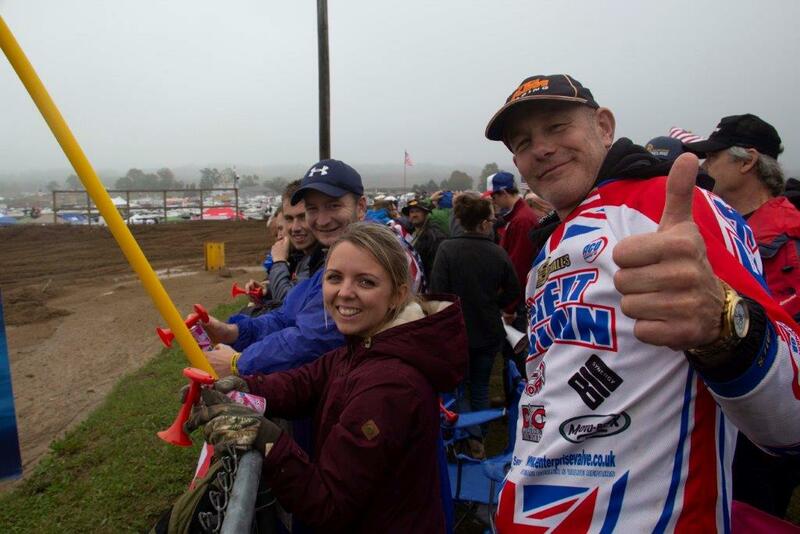 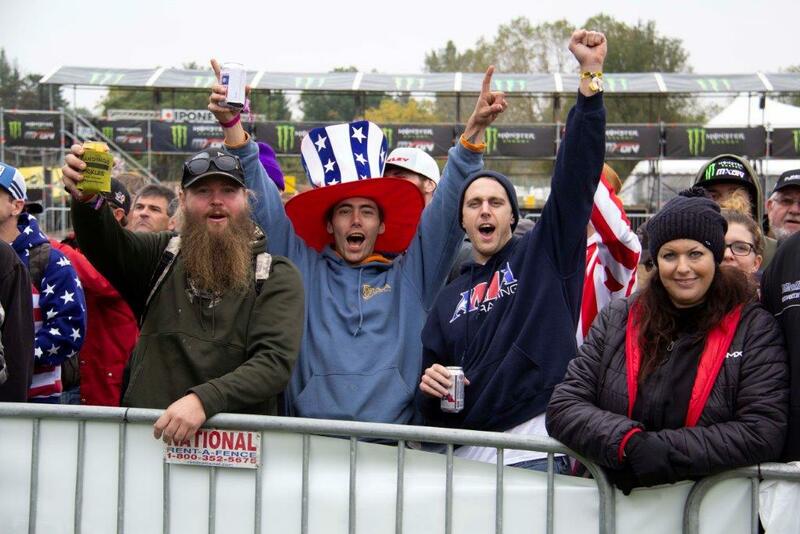 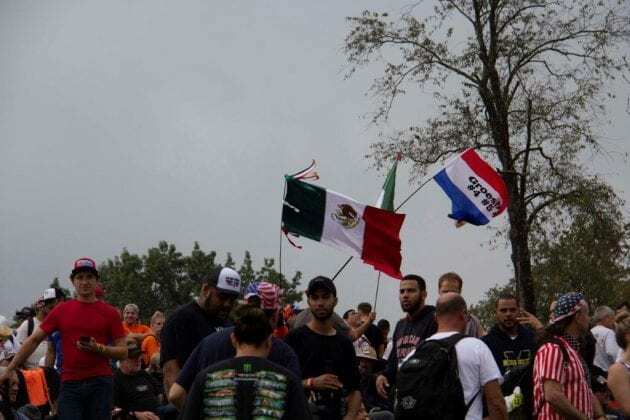 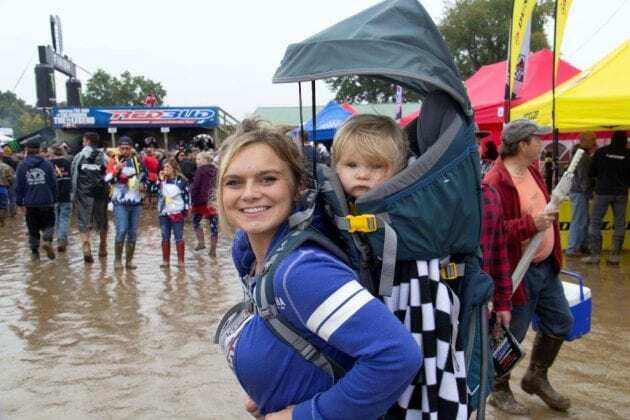 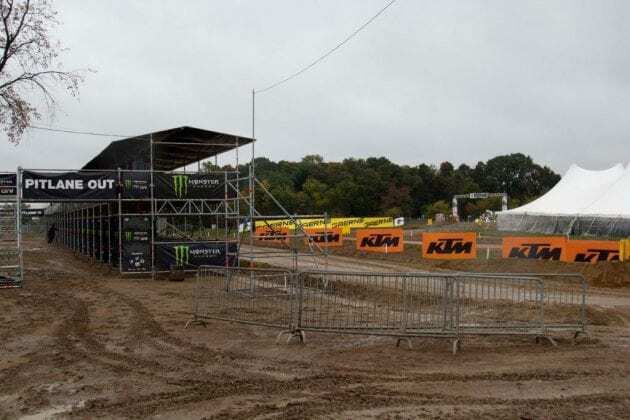 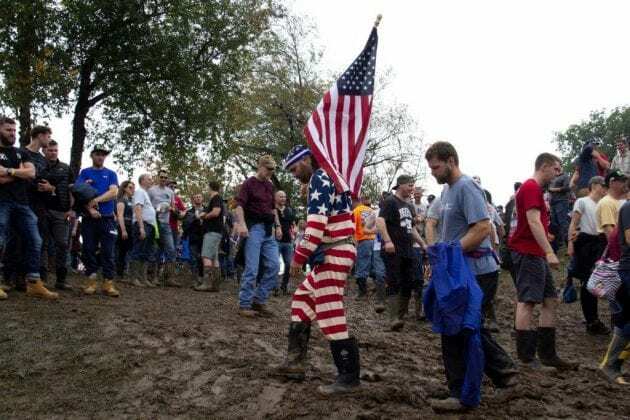 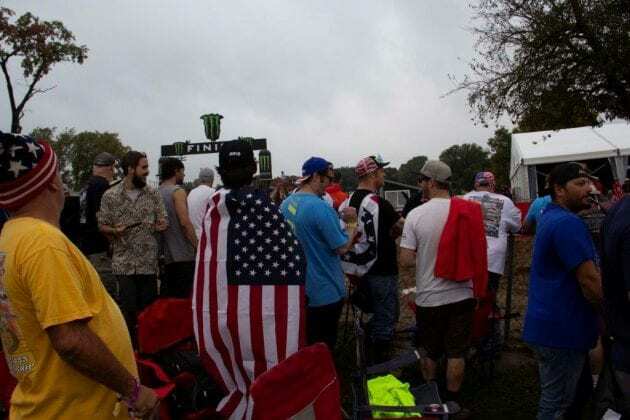 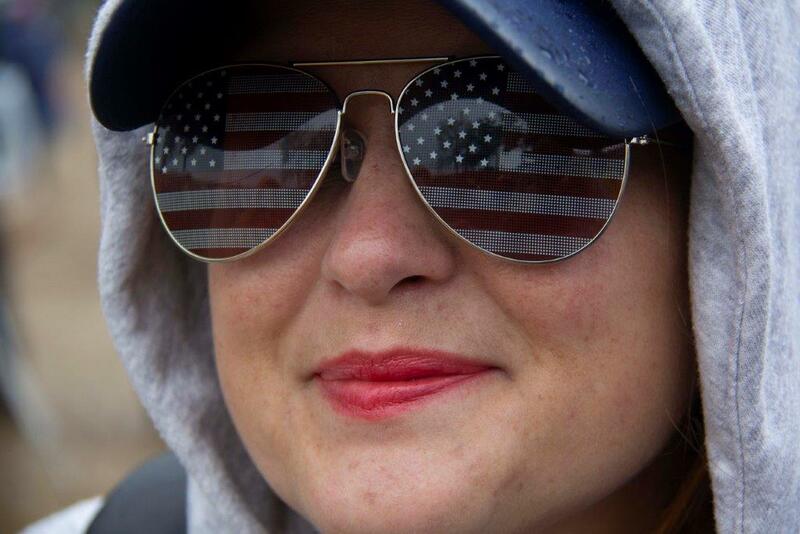 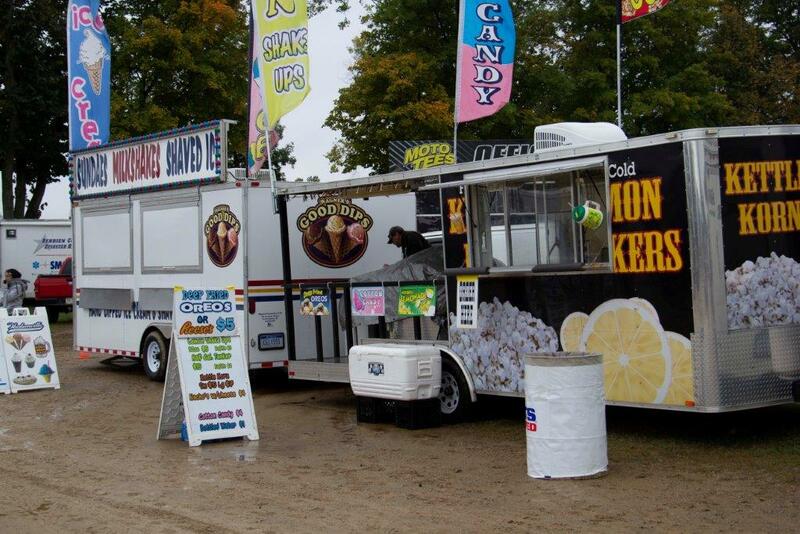 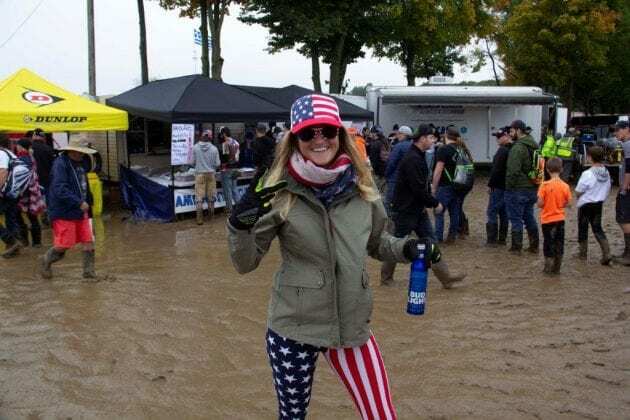 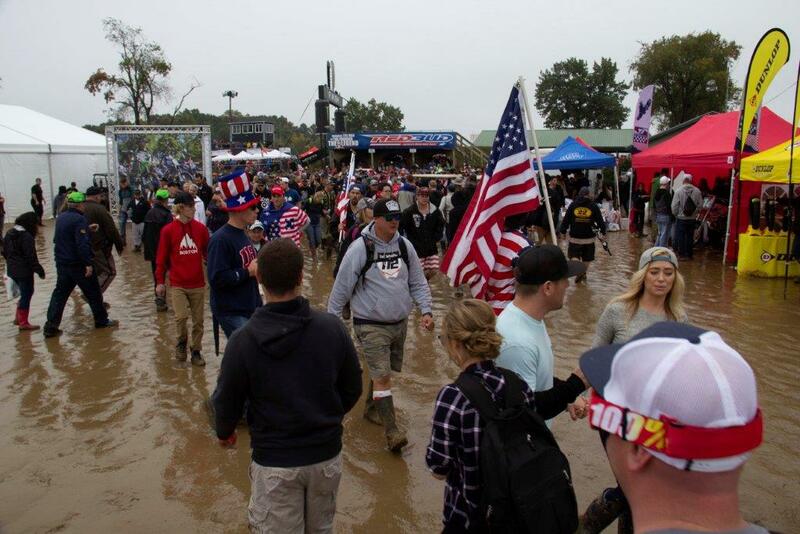 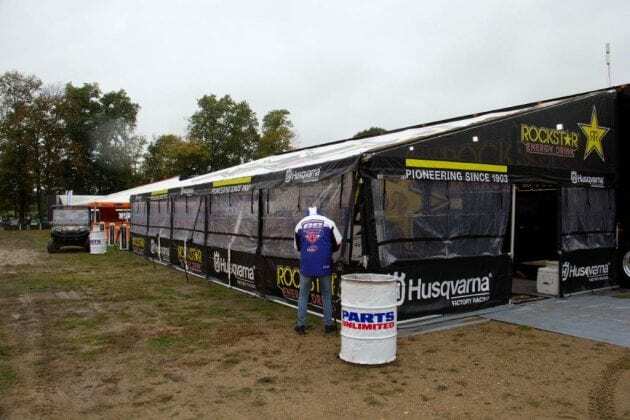 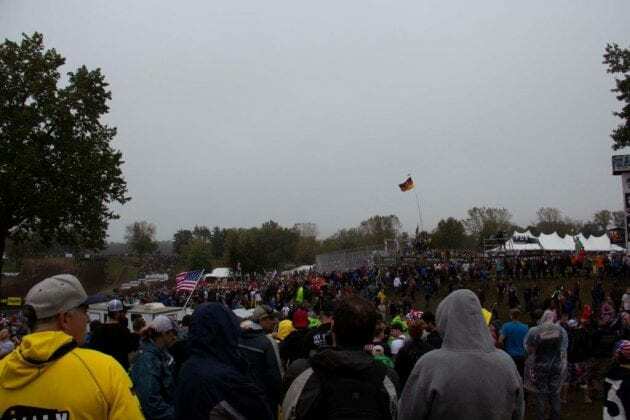 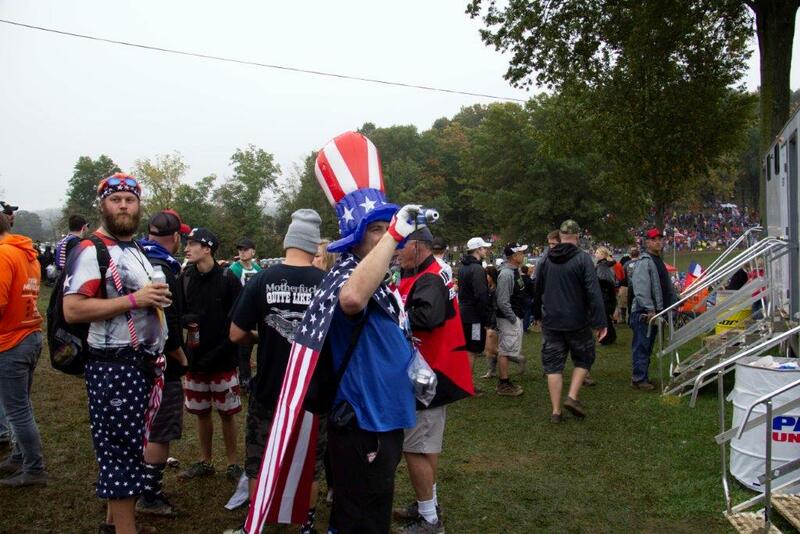 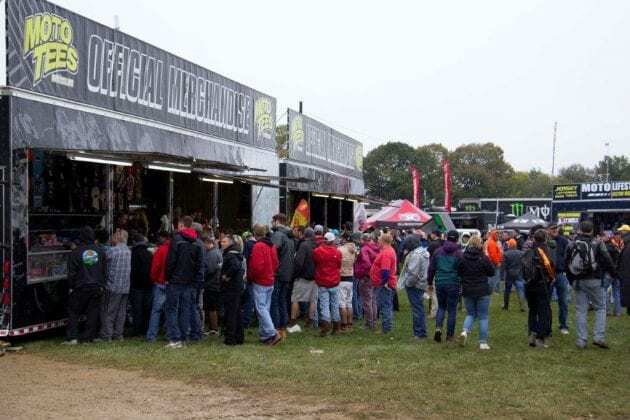 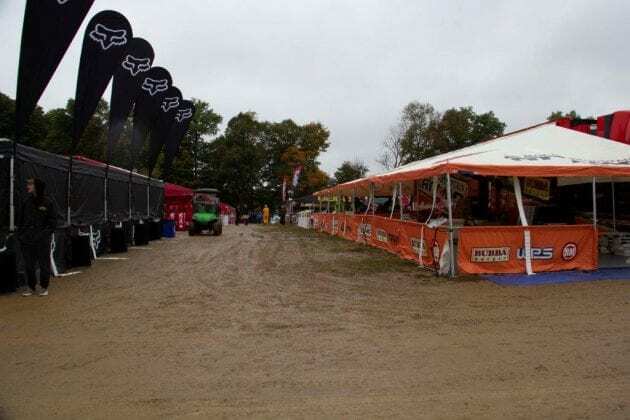 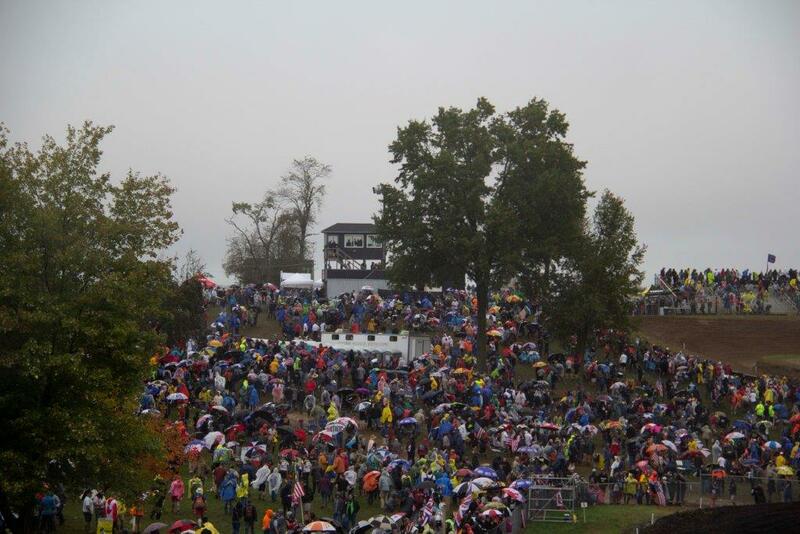 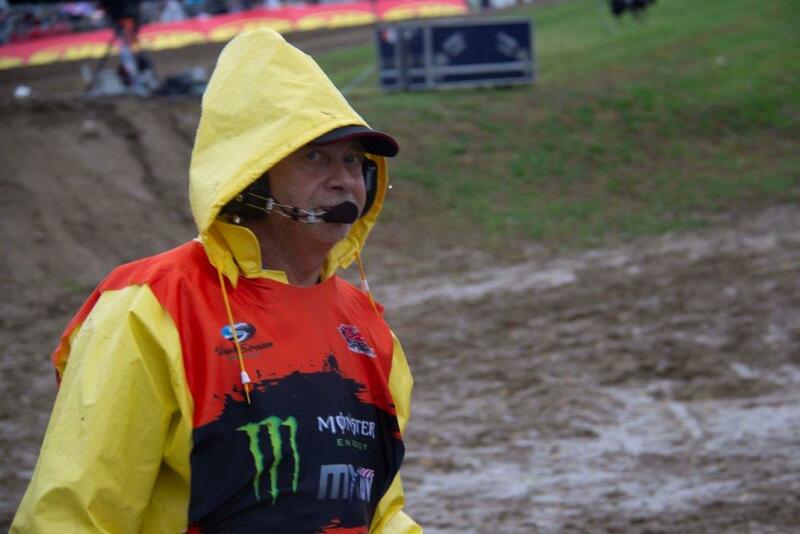 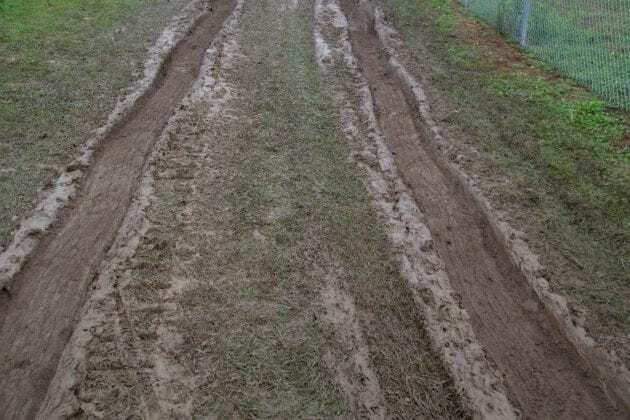 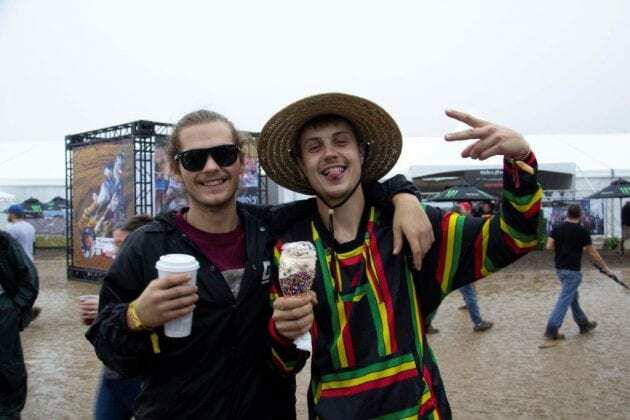 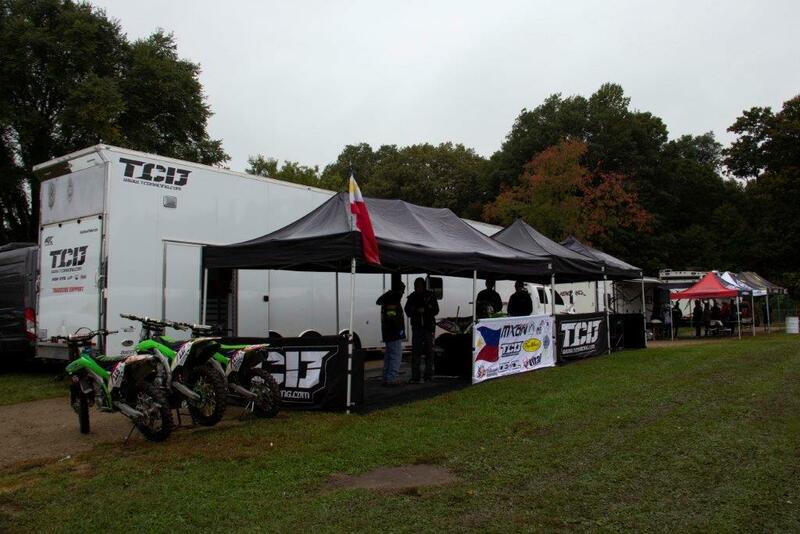 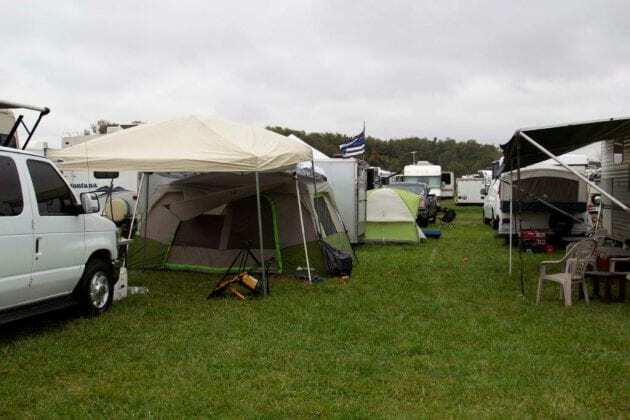 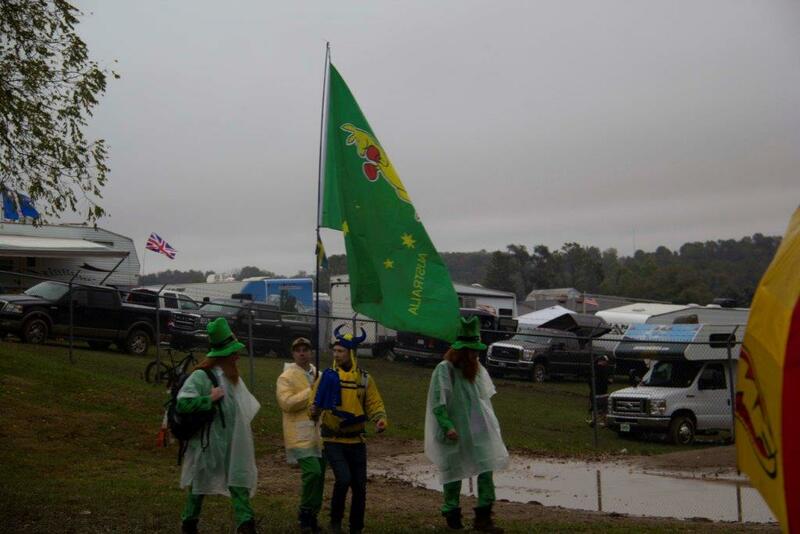 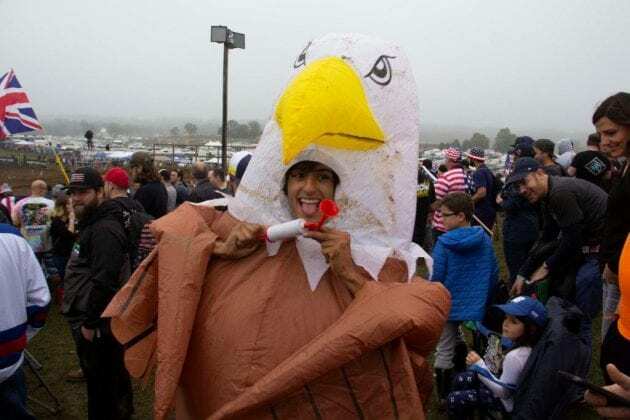 More rain overnight Saturday and into Sunday morning greeted fans at Redbud MX. 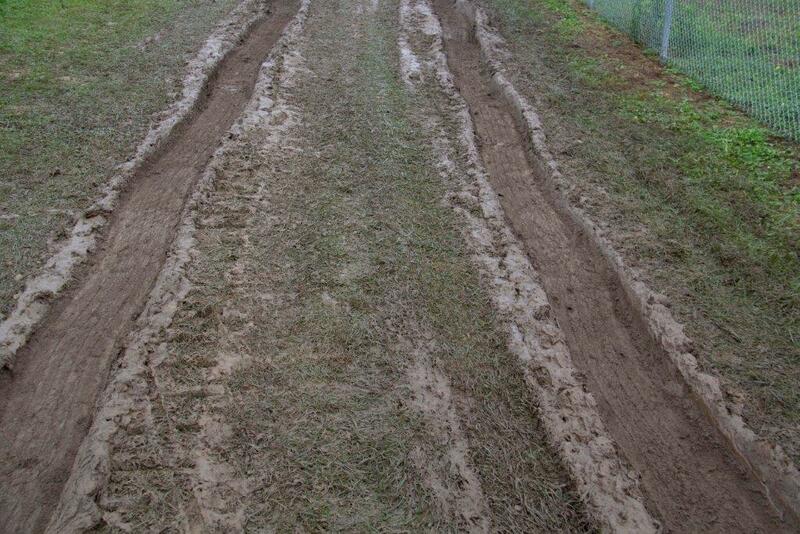 The track held up well over the wet weekend. Better than the riders. 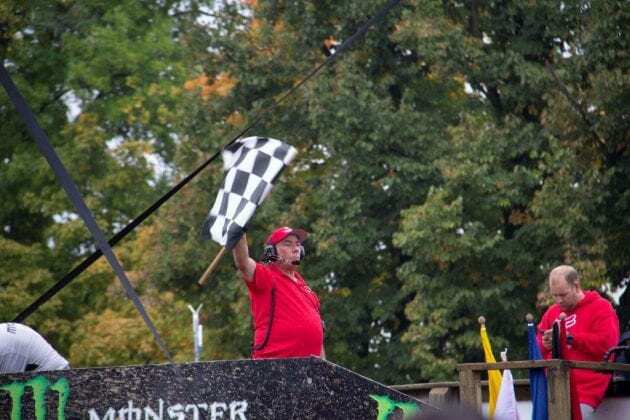 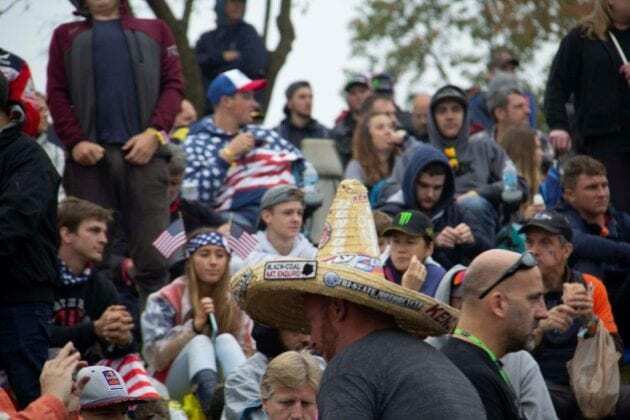 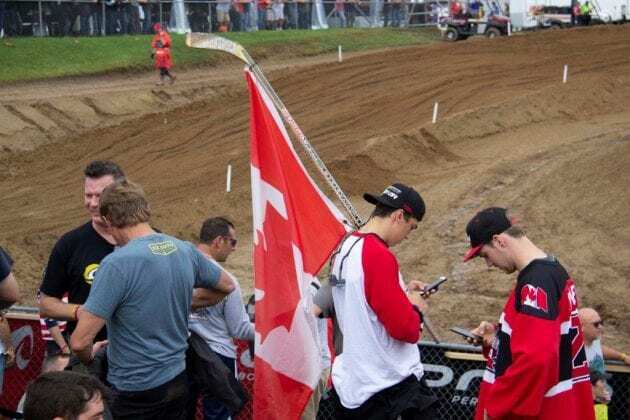 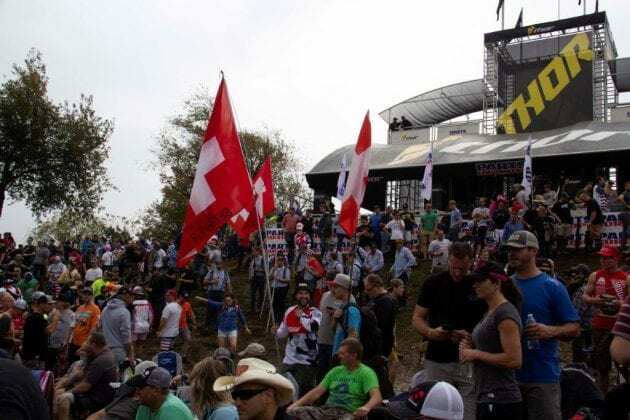 But, Sunday took its toll on a number of favorites to win the 2018 Monster Energy Motocross of Nations. 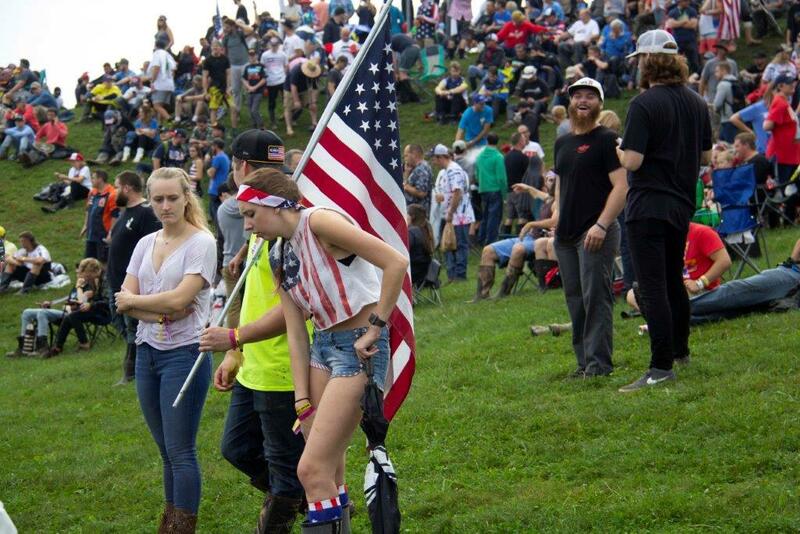 Scoring for Championship day at the MXoN takes the top 5 rides per team and throws out the worst effort. 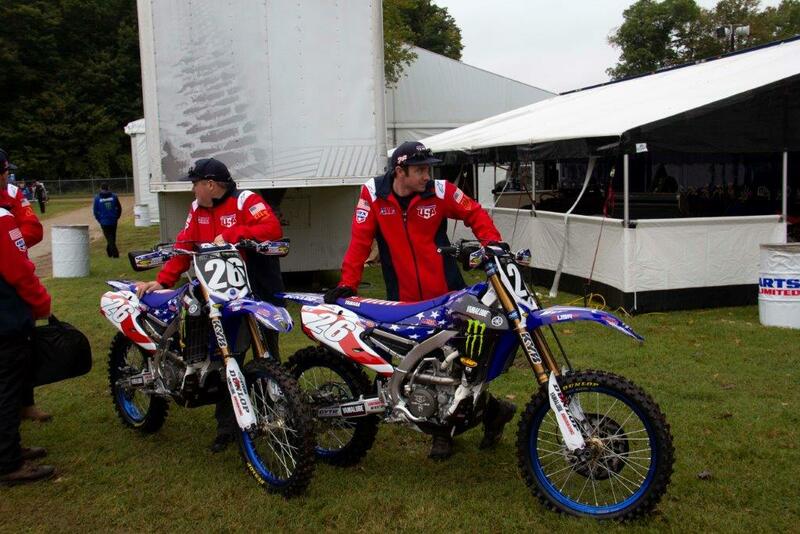 Each of the 3 team members rides twice. 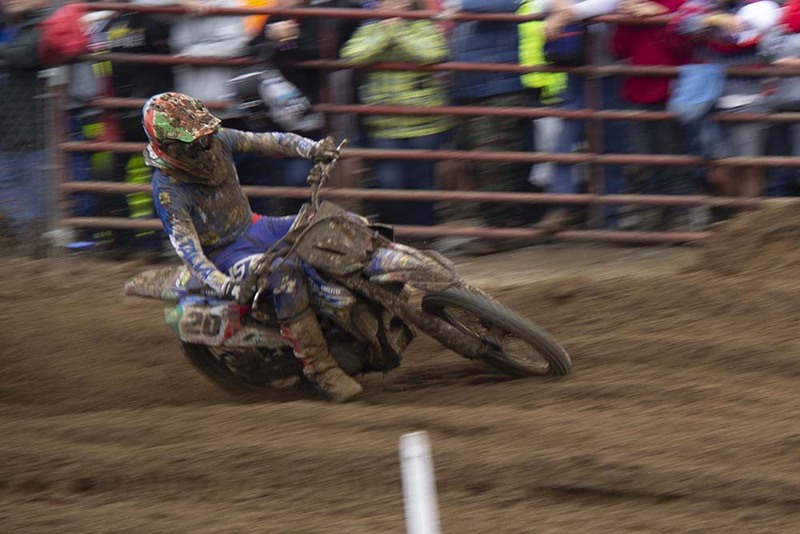 Their finishing positions make up the 6 scores credited to the team. After a strong qualifying effort Saturday, the Netherlands entered the day as the clear favorite. 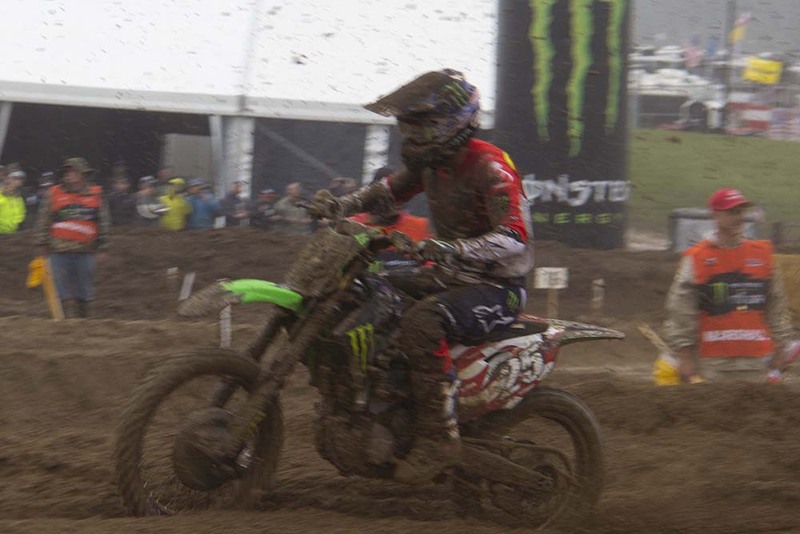 Their hopes took a dive early as Calvin Vlaanderen suffered a DNF as a result of an injury. 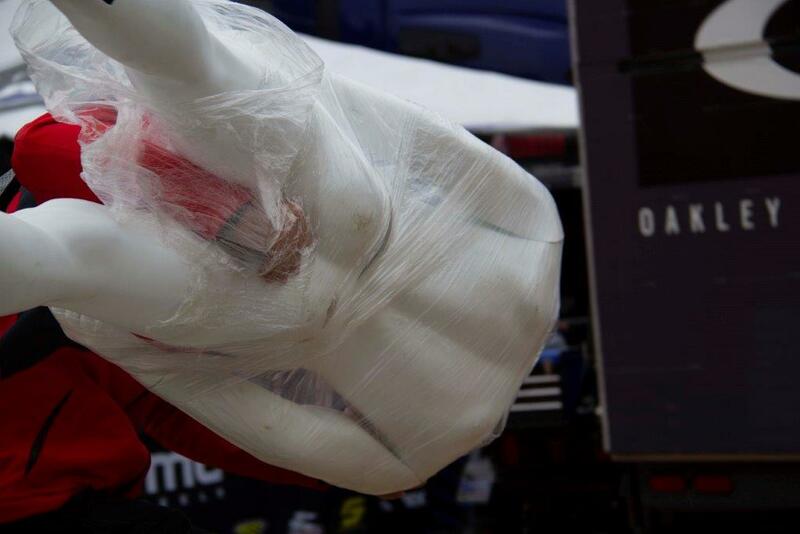 A stone to the eye ended Vlaanderen’s ride. 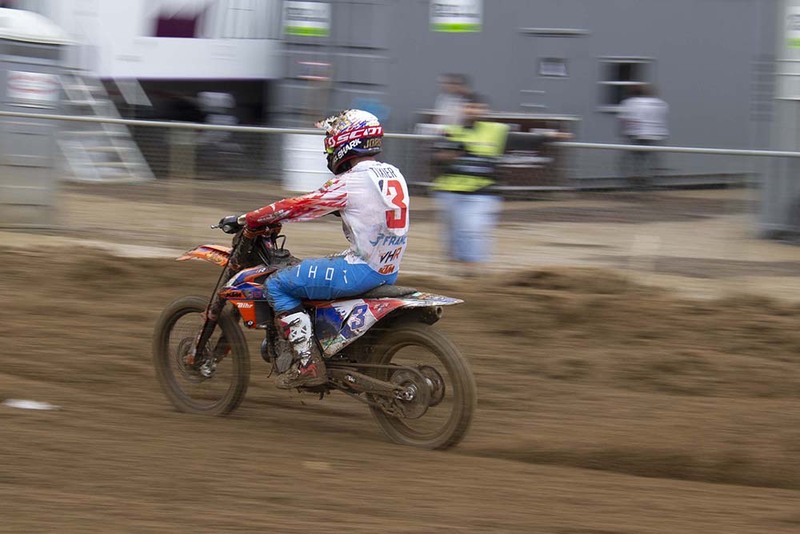 Teammate Jeffrey Herlings won Moto 1 for the MXGP & MX2 classes. 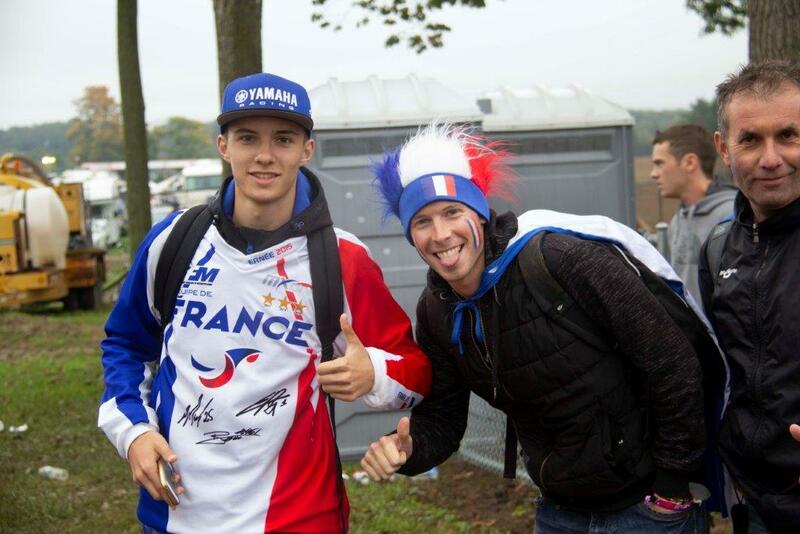 Unfortunately, Vlaanderen was ruled out of Moto 2 under doctors orders. Effectively ending the Dutch hopes. 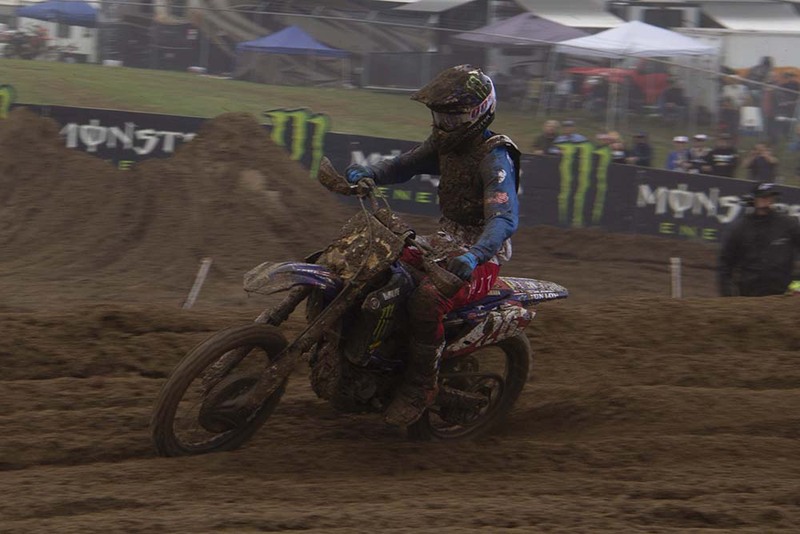 Despite a valiant effort of Glenn Coldenhoff winning Race 2 for the MX2 & Open classes. 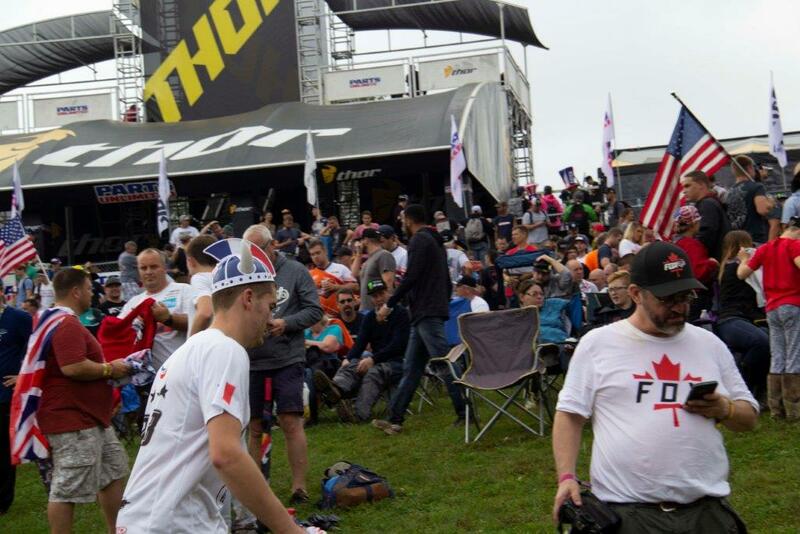 Then Coldenhoff and Herlings going 1st and 2nd in Race 3 with MXGP & Open classes. 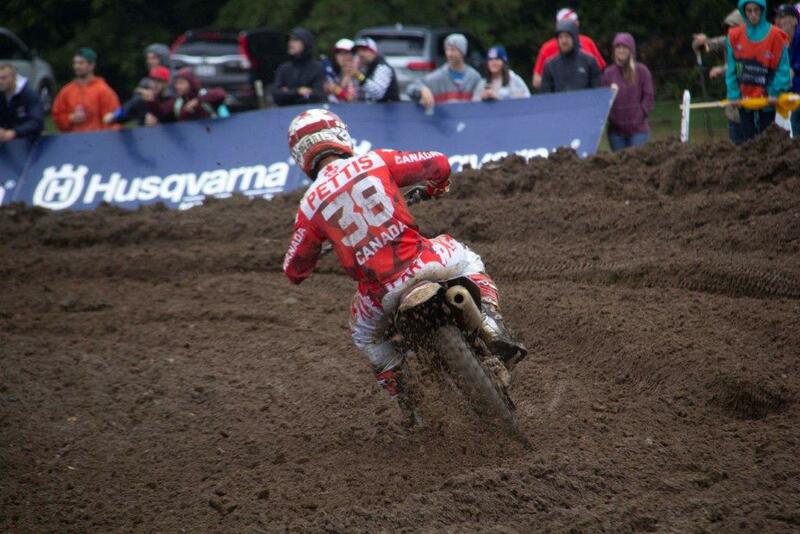 Vlaanderen’s 36th place finish in Race 1 had to be counted. 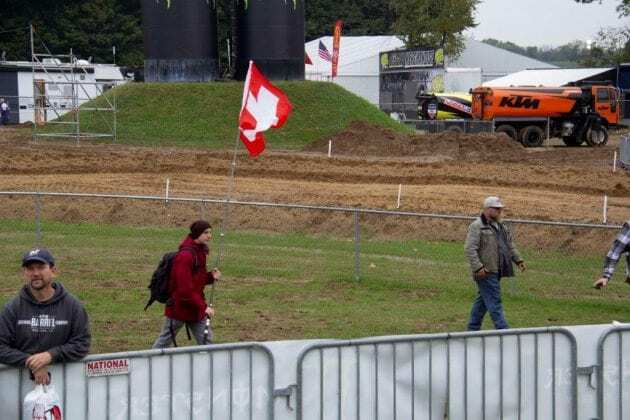 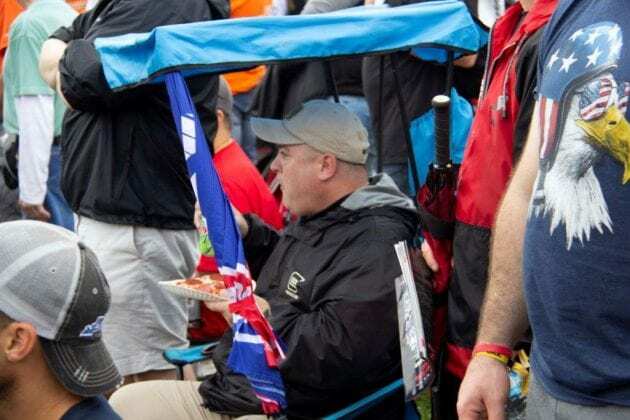 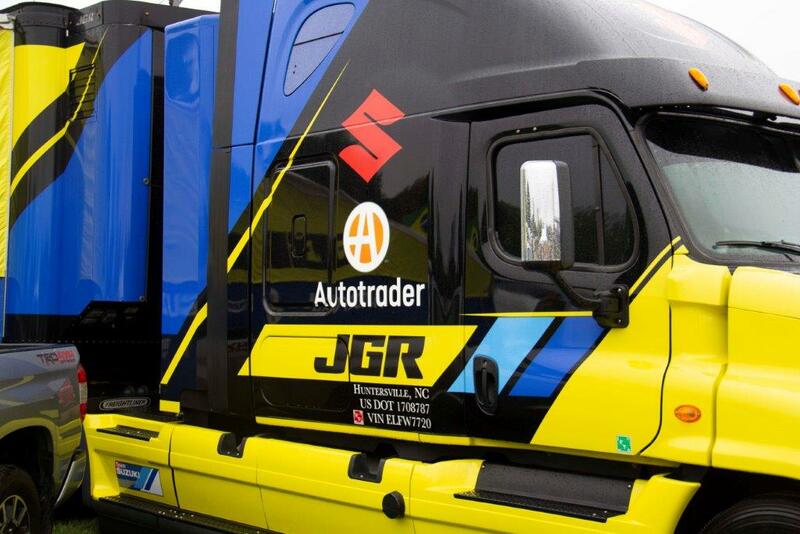 His no-start in Race 2 was thrown out. 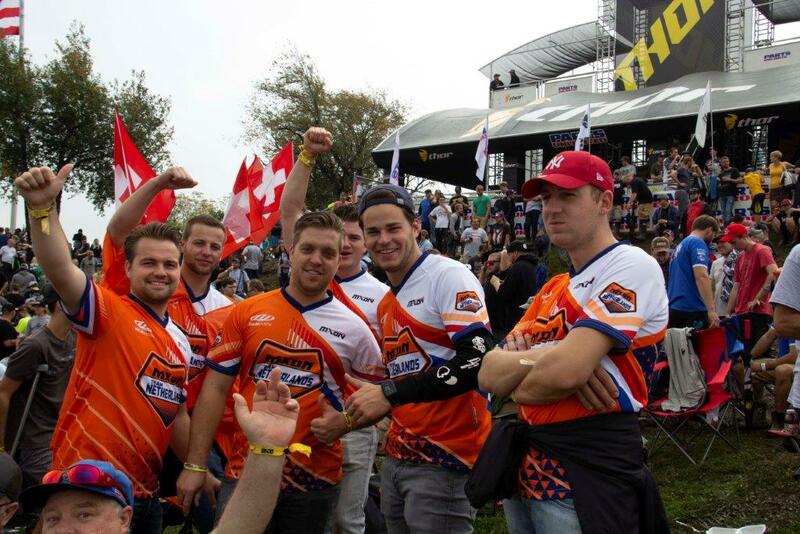 Winning all 3 motos and not taking the title was a bitter disappointment for Team Netherlands. 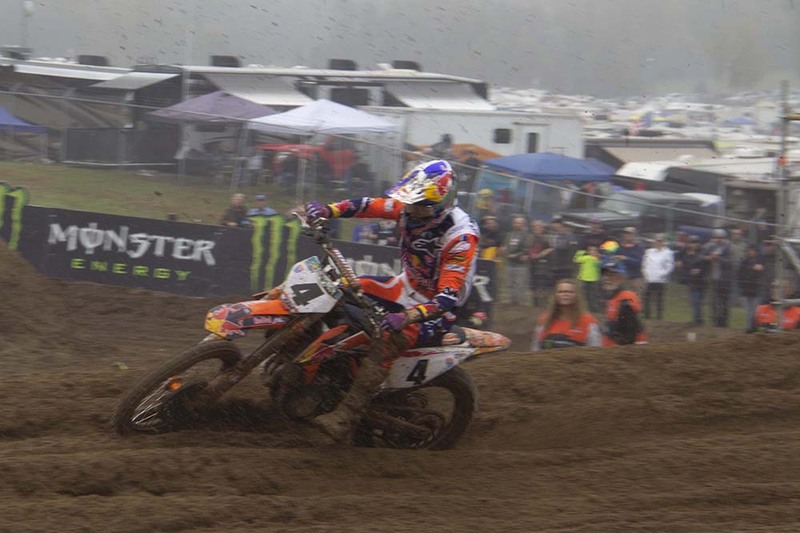 Herlings won the MXGP individual title, with Coldenhoff taking the Open class top spot. 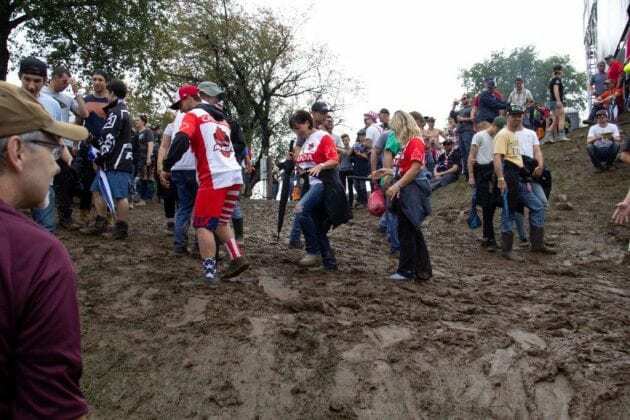 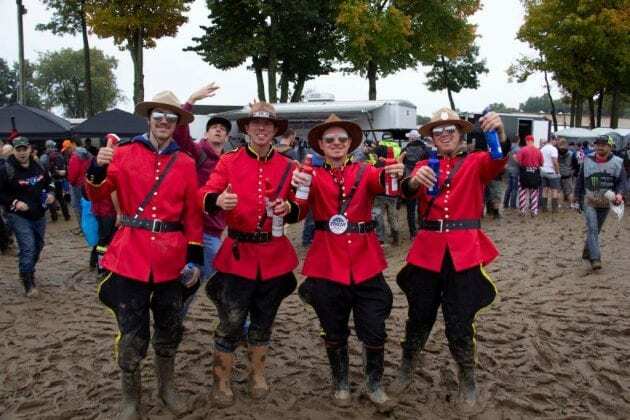 The Dutch finished 3rd in the 2018 MXoN with a total of 41 points. 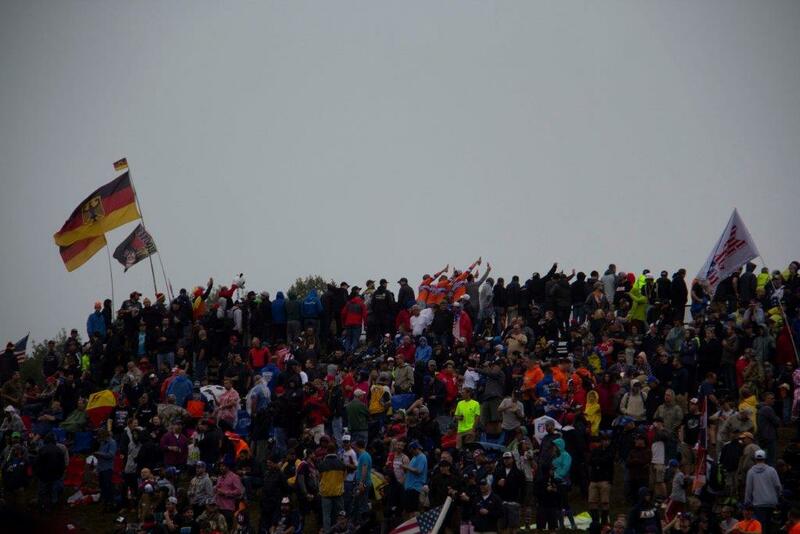 The Italians put together a fine team effort to finish 2nd. 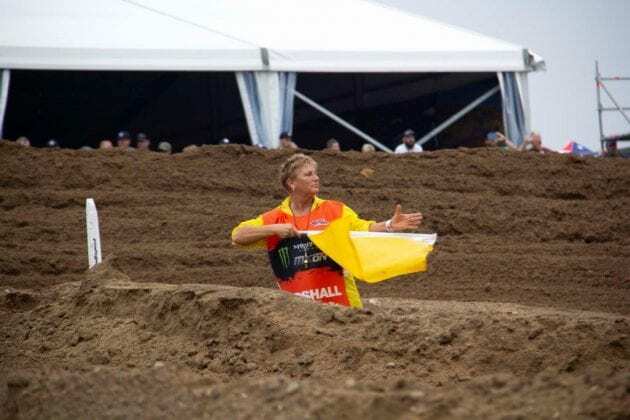 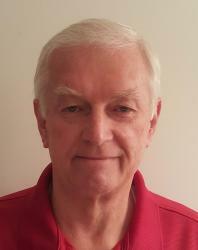 Their throwaway score was a 14th place finish by Michele Cervellin. 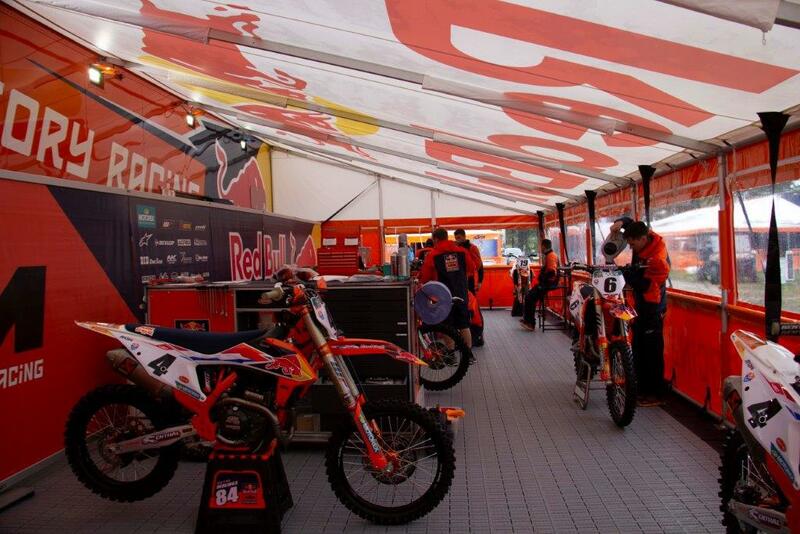 Antonio Cairoli led Team Italy by posting a solid 6th in Race 1 and followed it up with a 4th in Race 3. Their team score, 37 points. 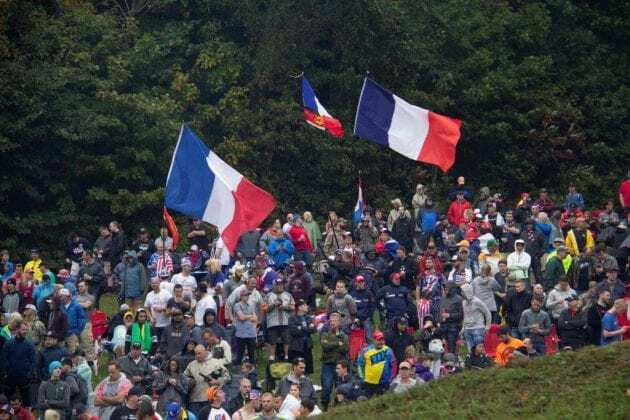 For the 5th year in a row, Team France proved their grasp on the Chamberlain Trophy is firm and tight. 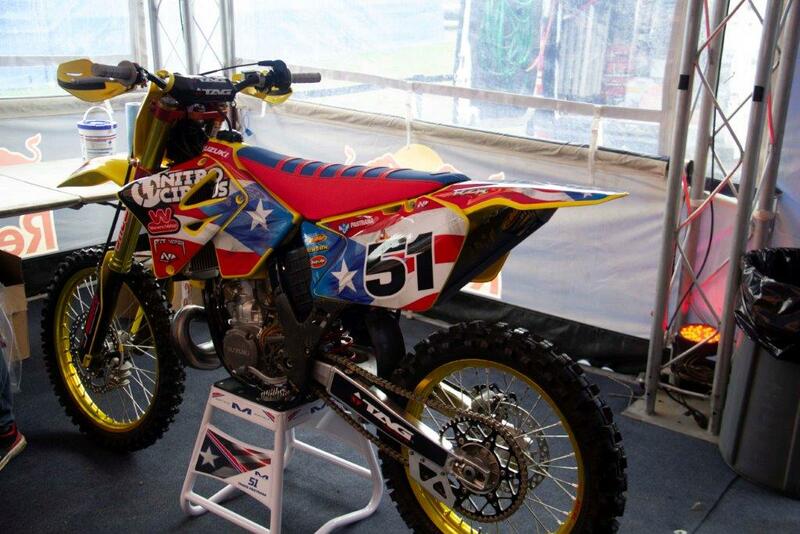 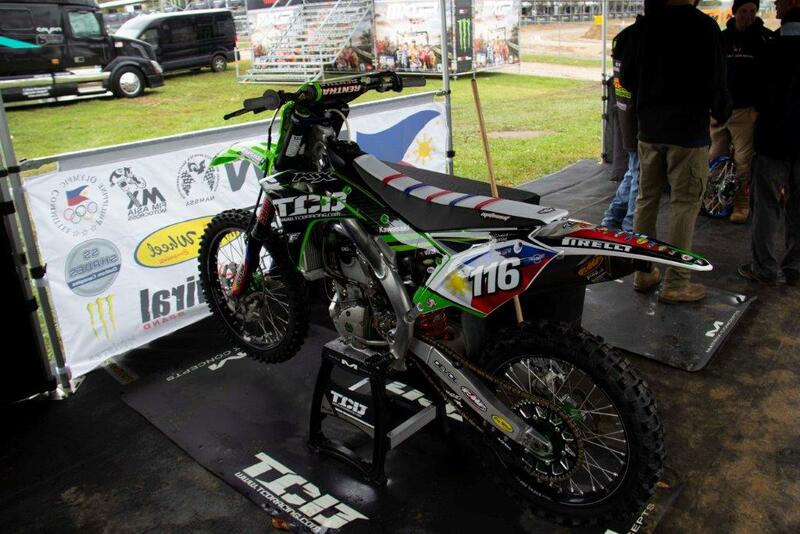 Despite 15th and 32nd place finishes by Jordi Tixier, his teammates covered his less than stellar rides. 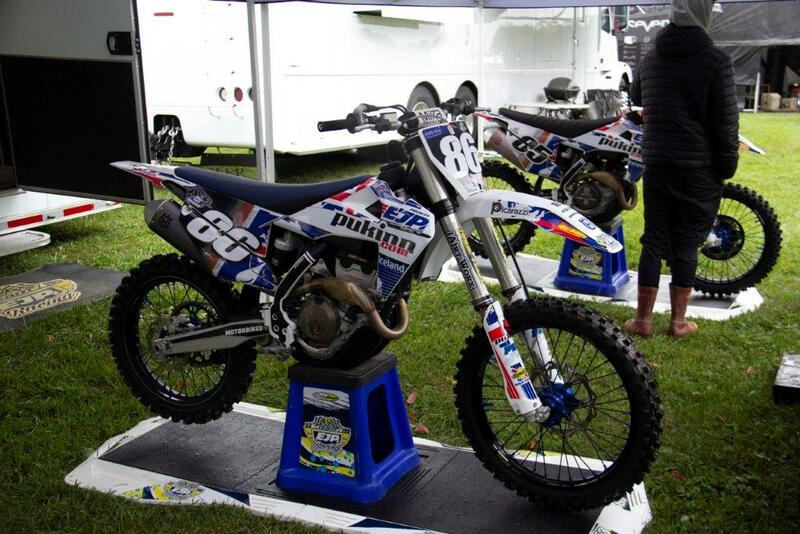 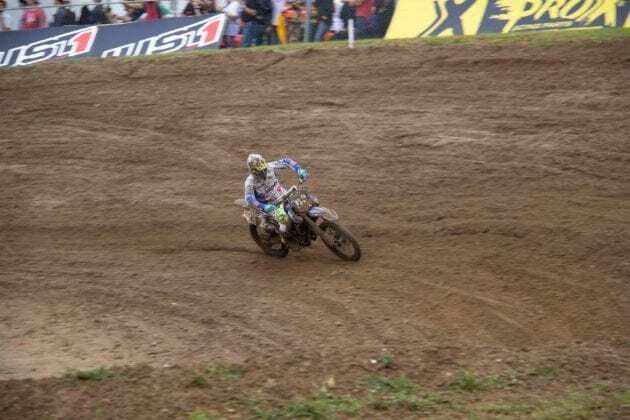 Gautier Paulin’s 2 Motos produced 2nd and 3rd place finishes. While Dylan Ferrandis turned in 7th and 8th place results to give the French a winning total of 35 points. 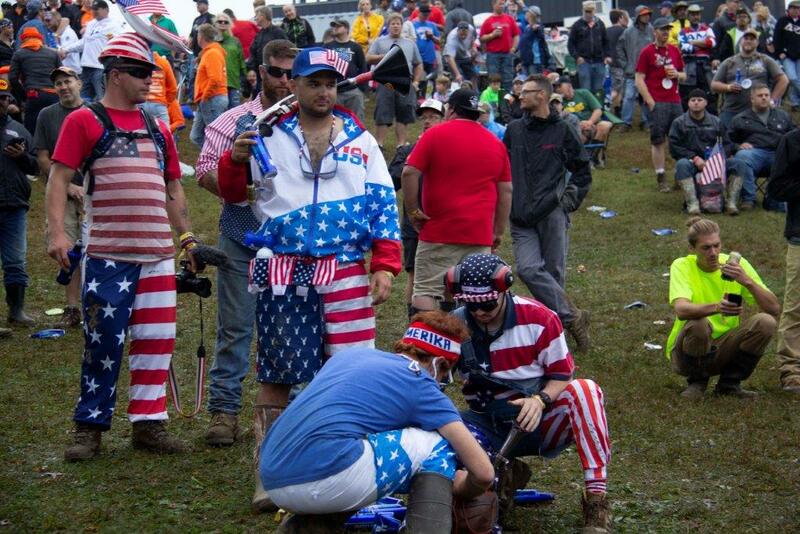 The dream of winning the MXoN on home soil slipped through Team USA’s grasp. 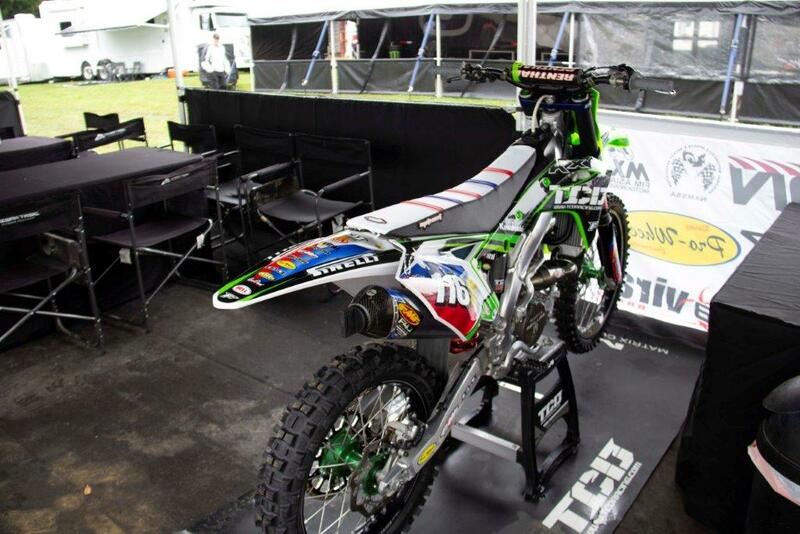 Race 1 saw Eli Tomac place 4th while Aaron Plessinger came in 18th. 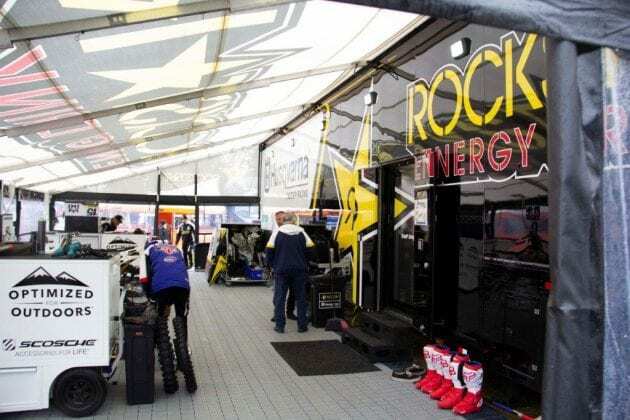 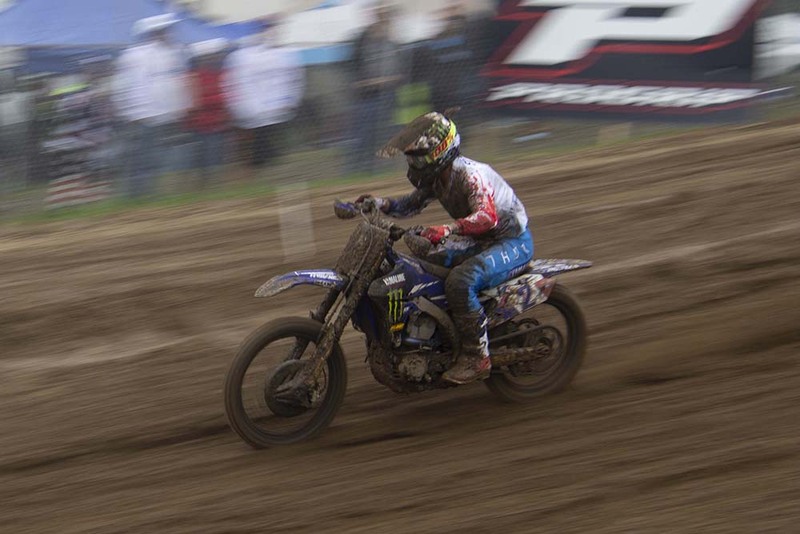 In Race 2, Justin Barcia earned a 9th place finish and Plessinger was 16th. No miracle finish in Race 3, Tomac took 7th with Barcia coming in 13th. 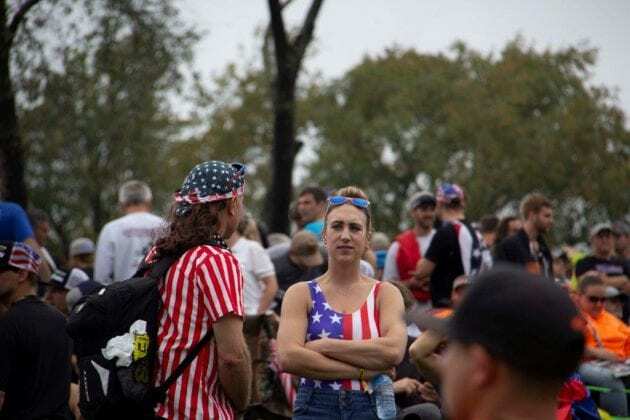 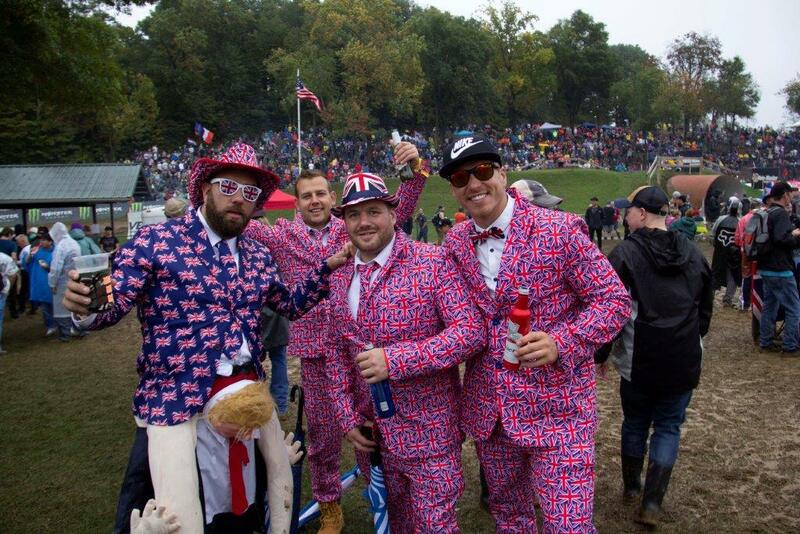 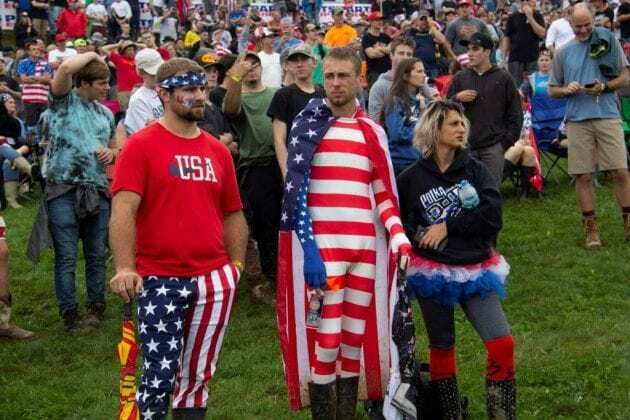 The American’s total of 49 points placed them 6th in the world for 2018. 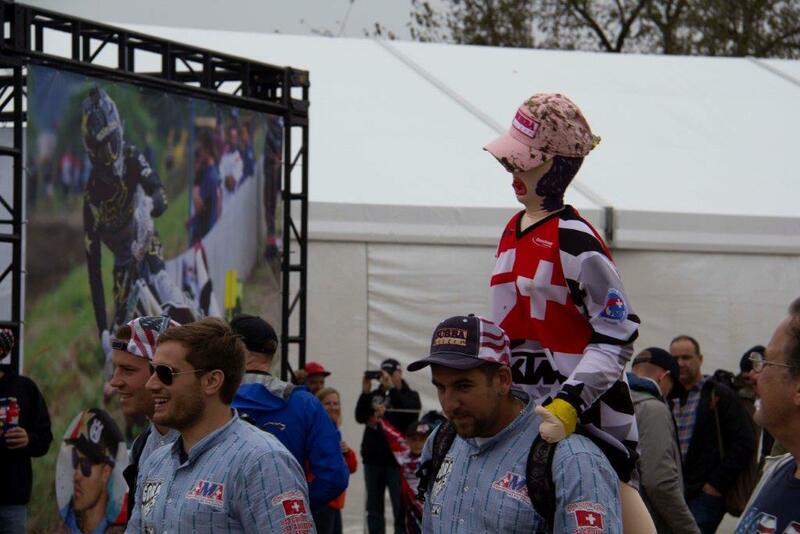 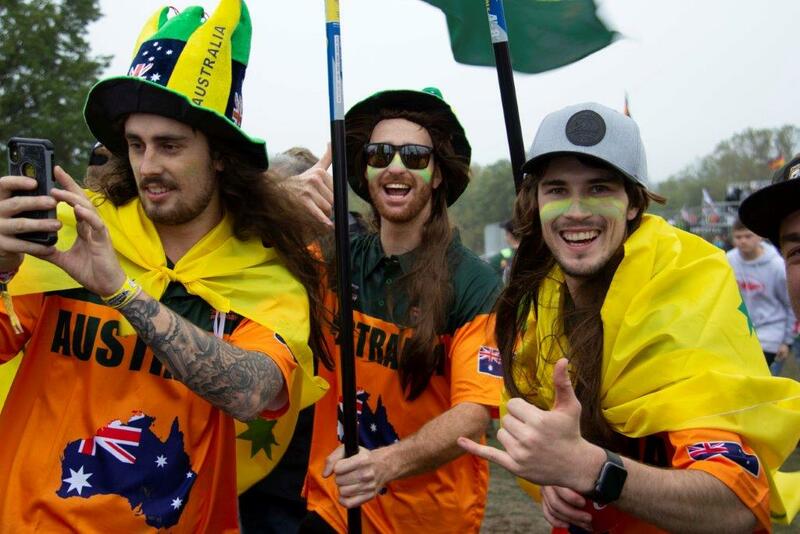 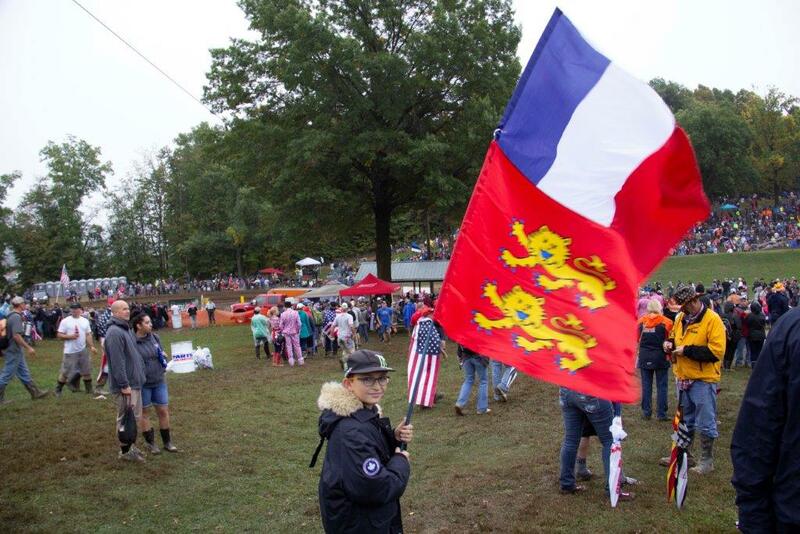 Winning the MXoN is a huge victory for a competing country. 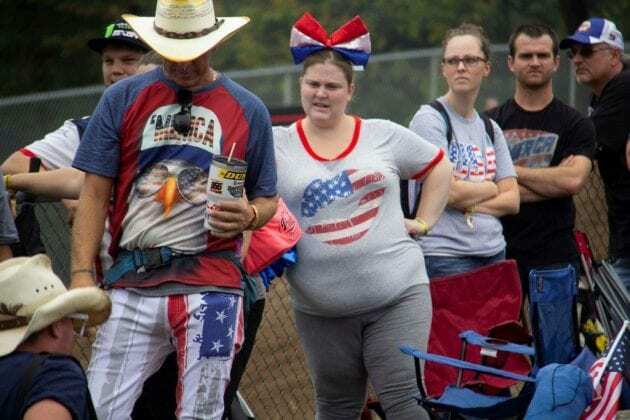 But, that’s only half the story. 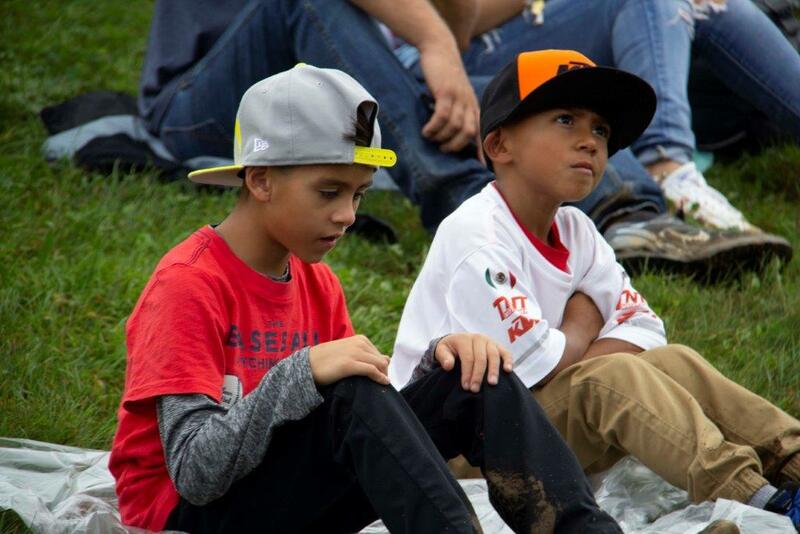 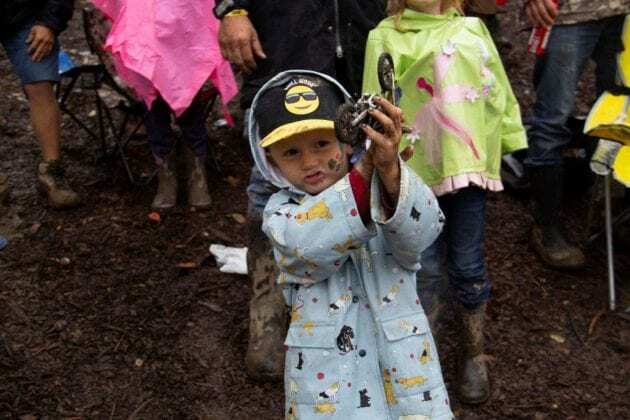 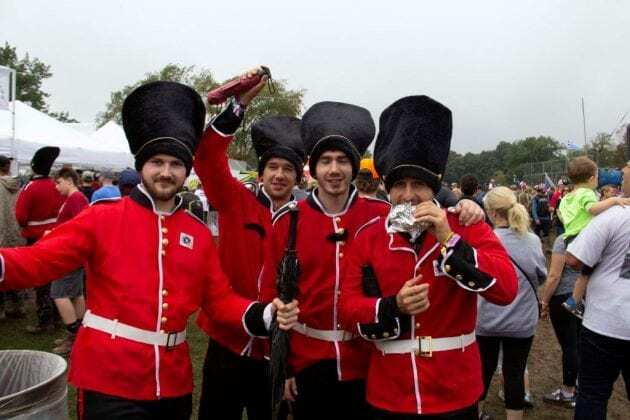 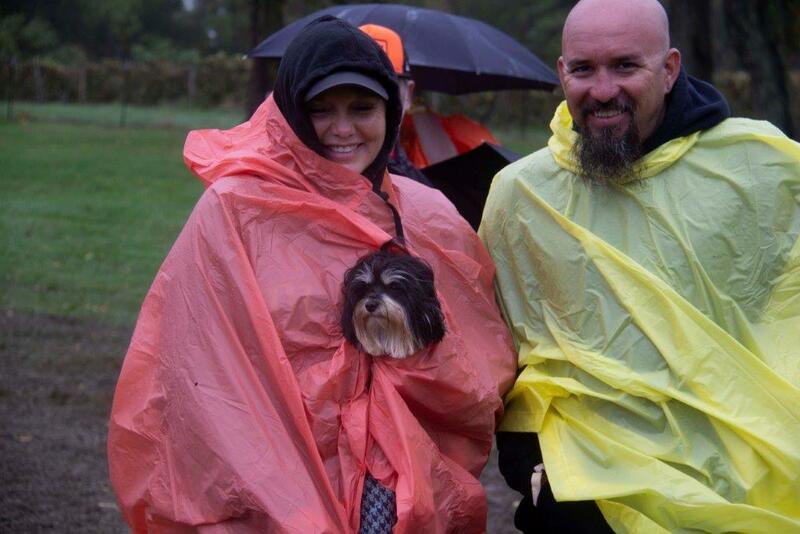 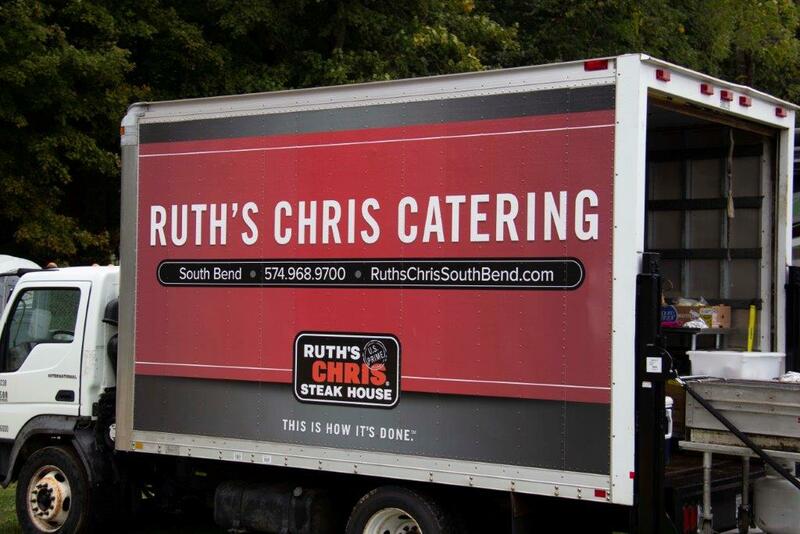 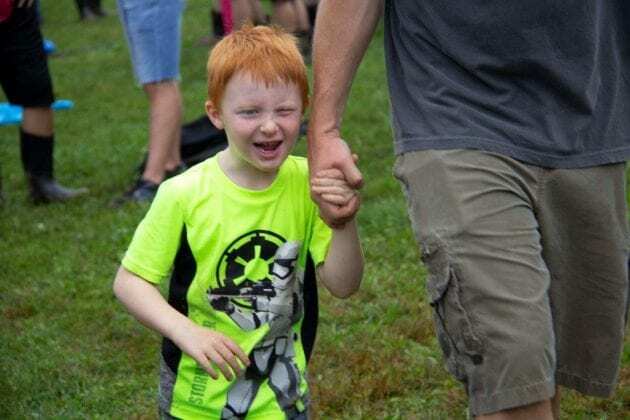 Making the 2-day event a success is enjoying every moment of the experience regardless of your circumstances. 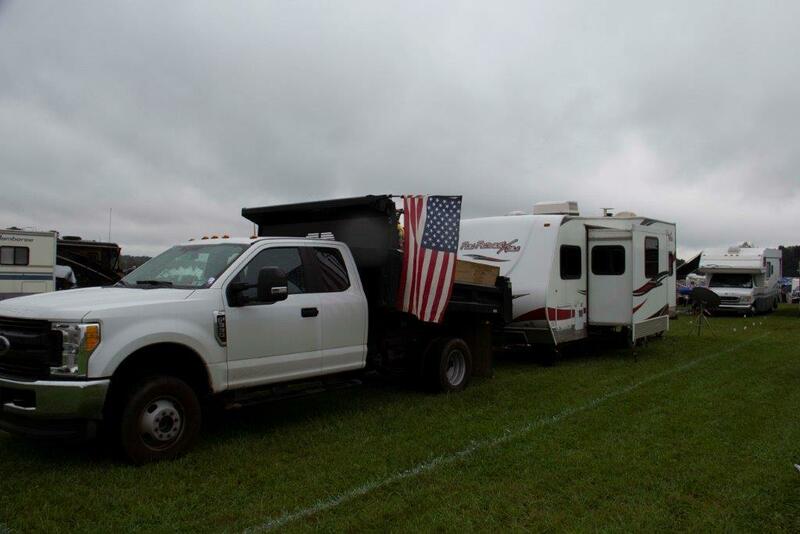 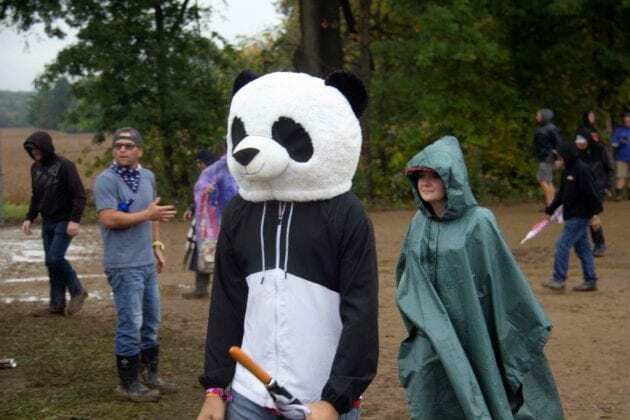 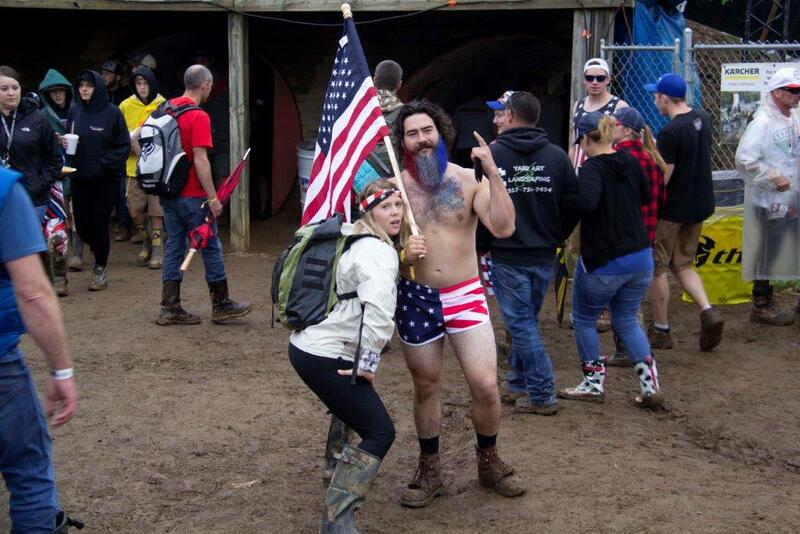 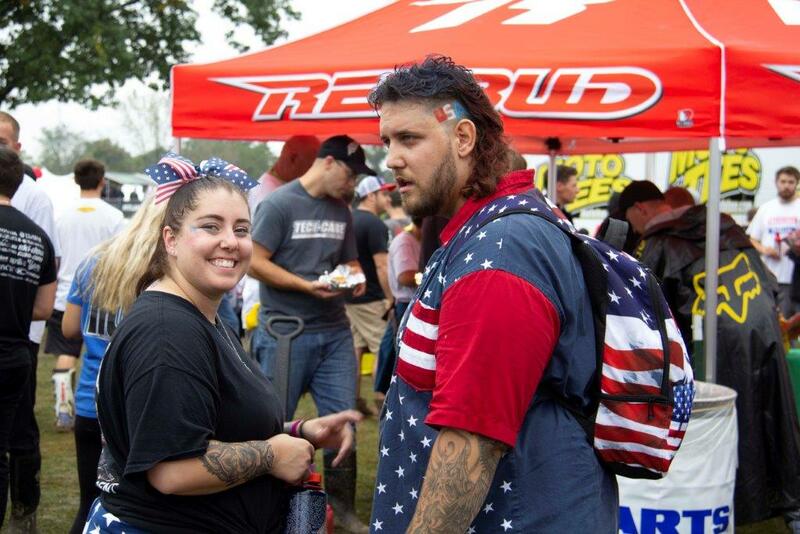 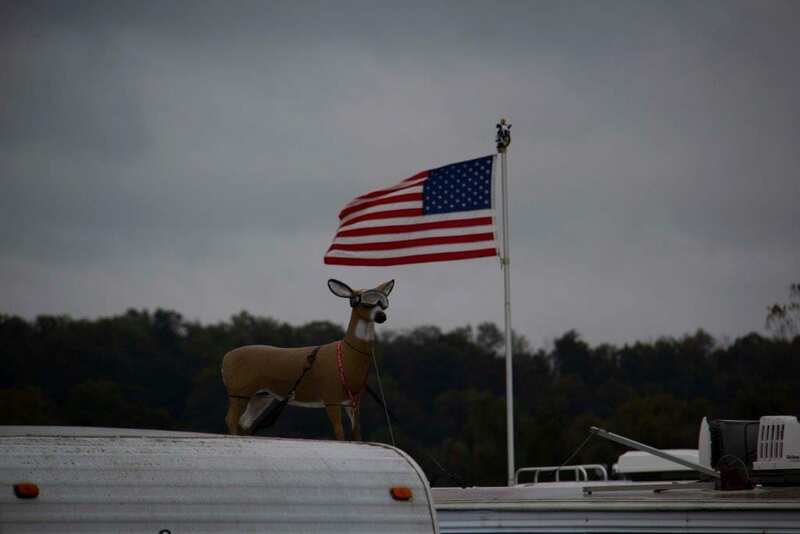 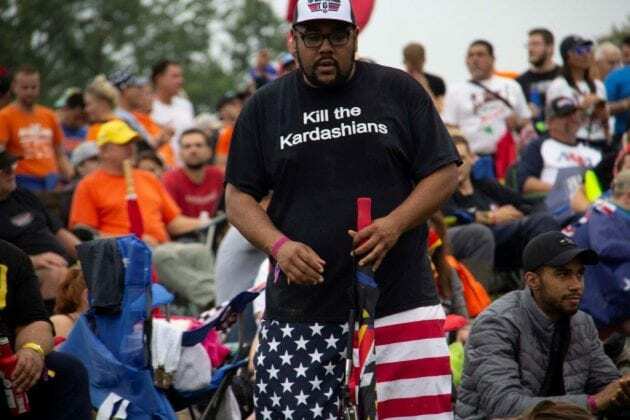 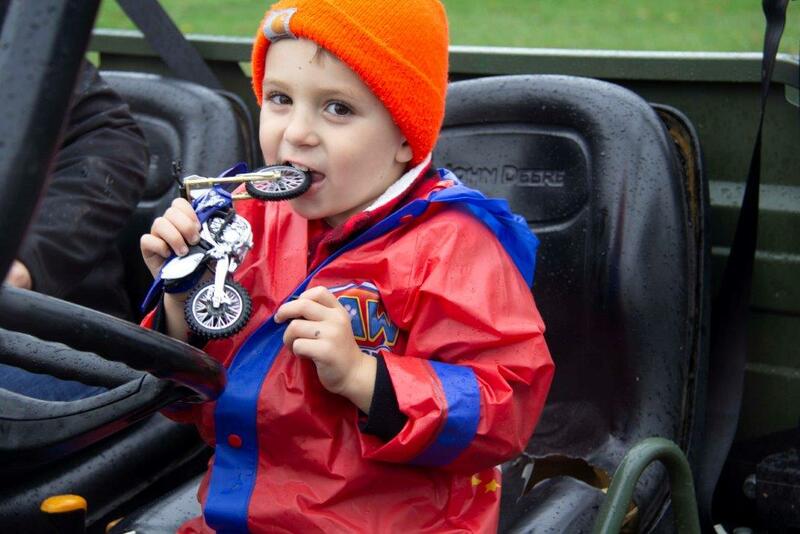 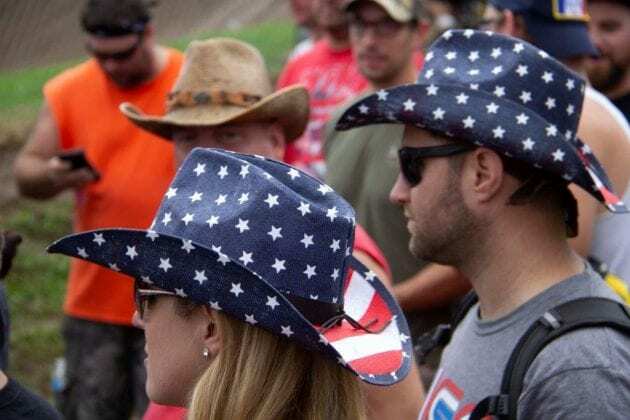 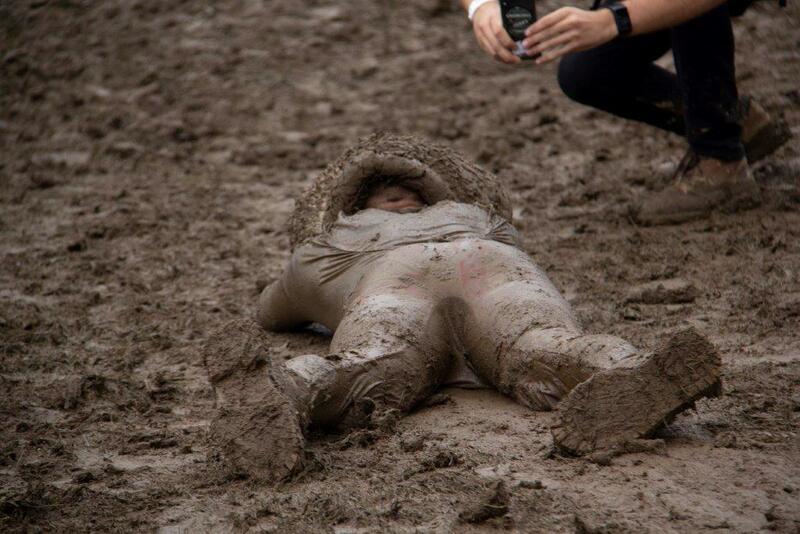 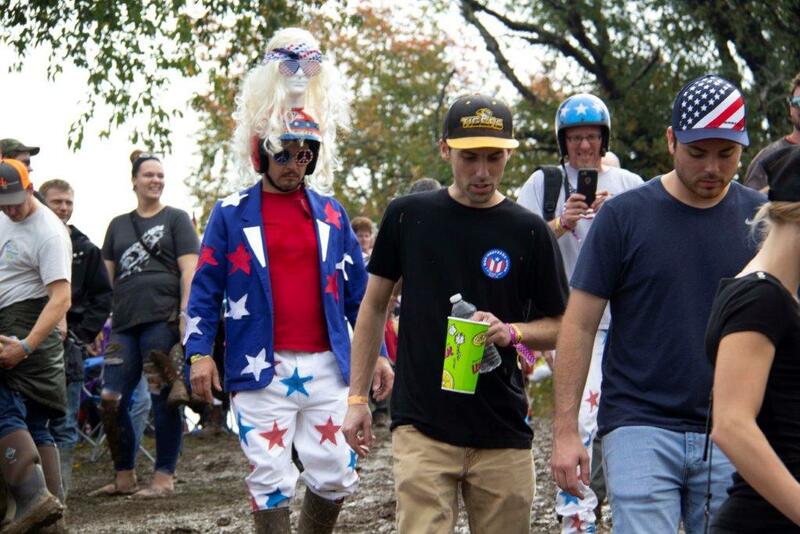 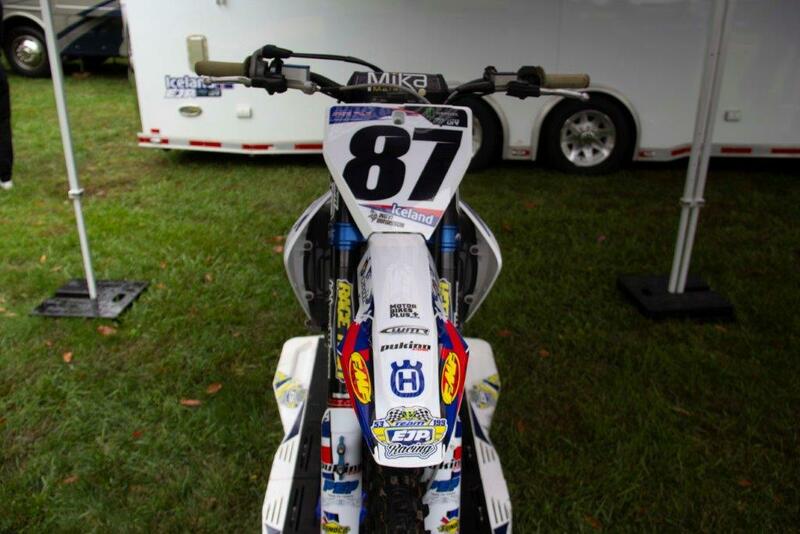 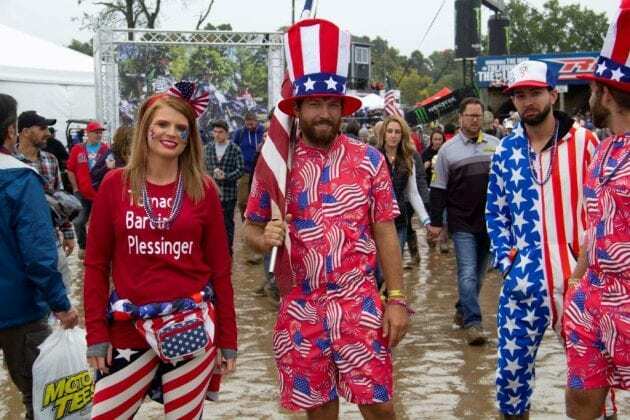 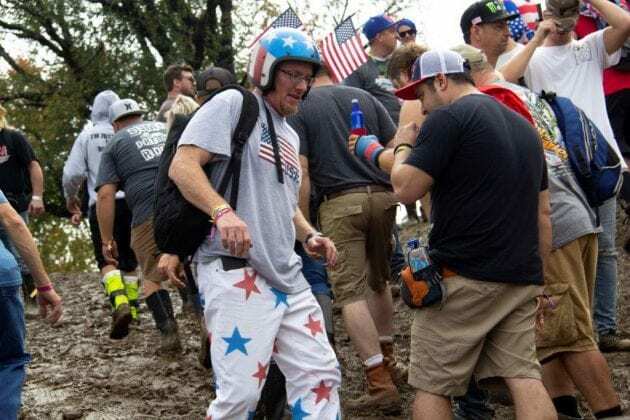 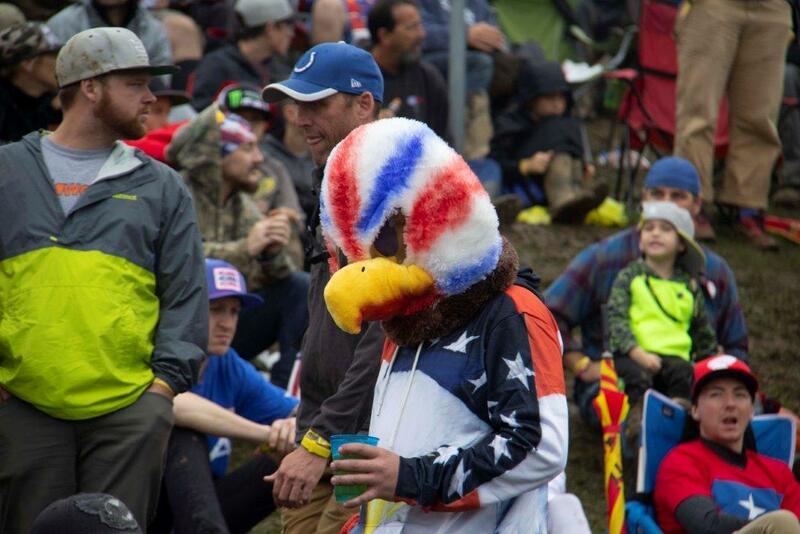 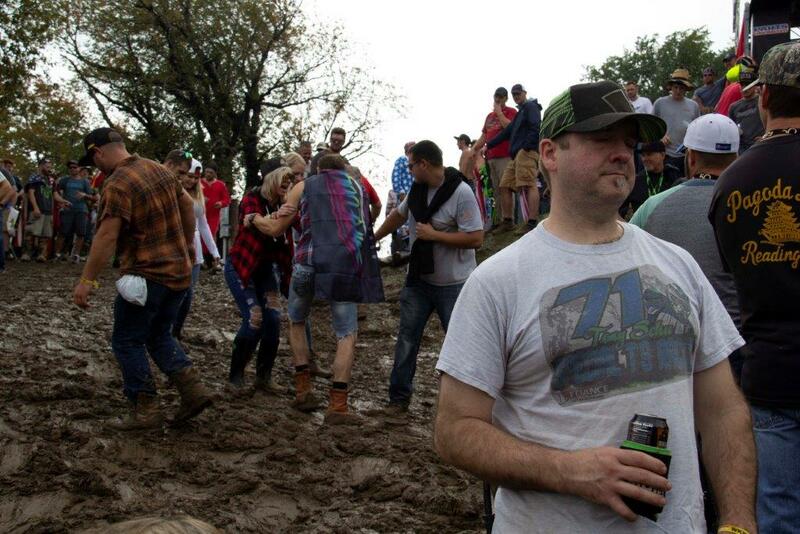 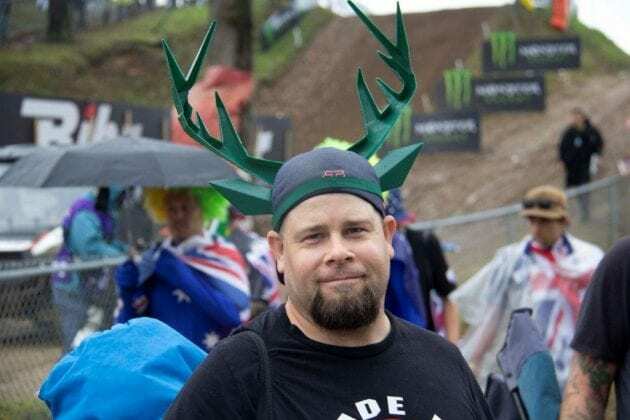 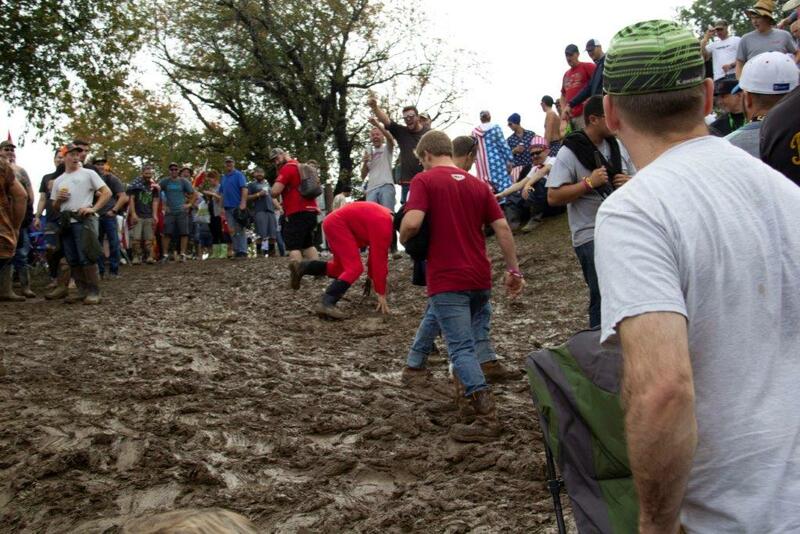 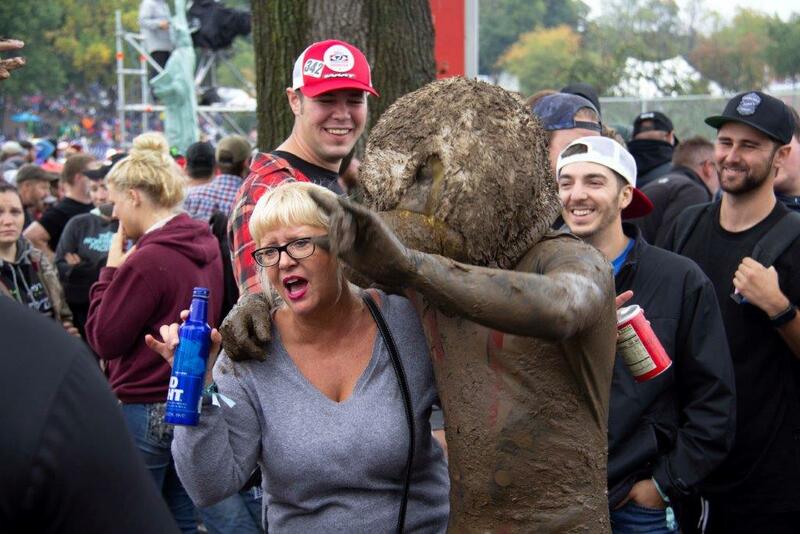 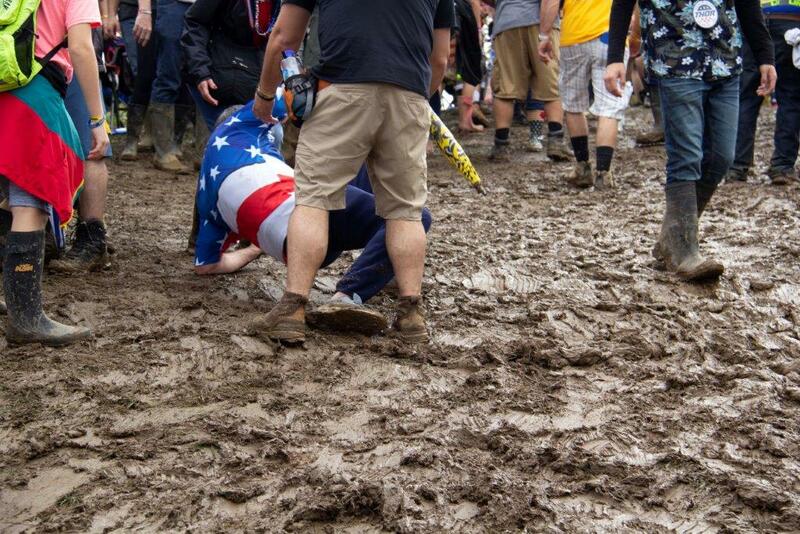 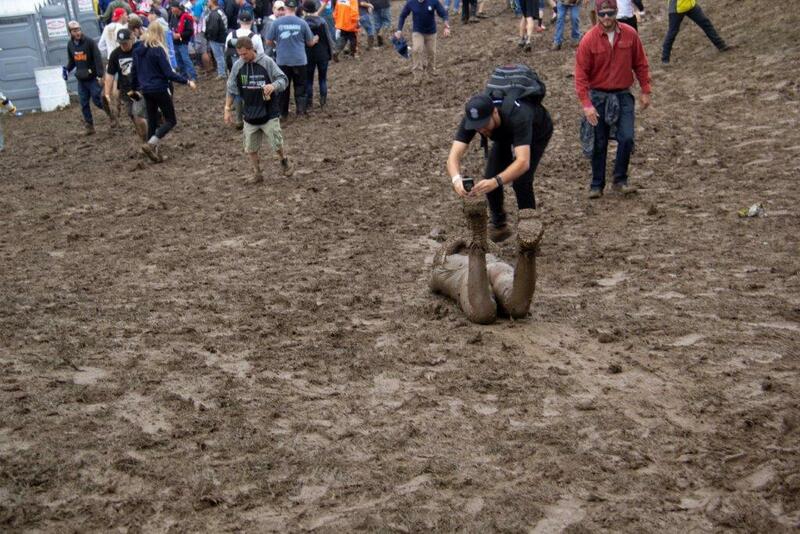 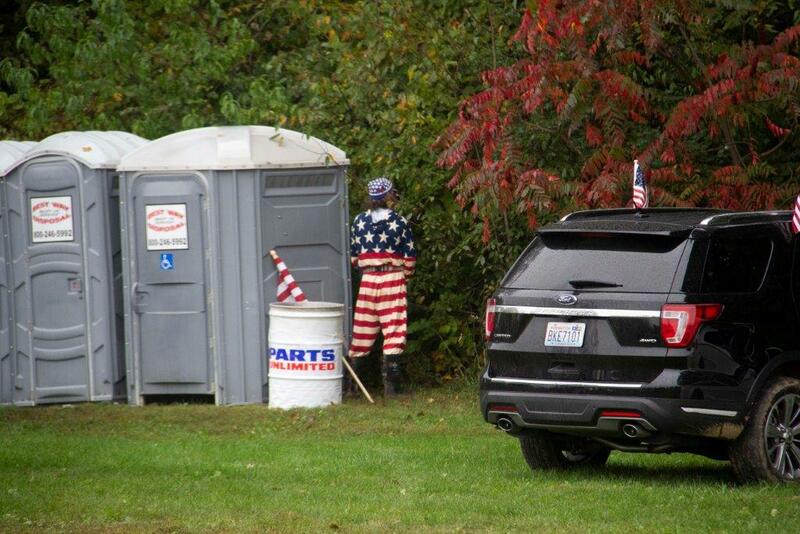 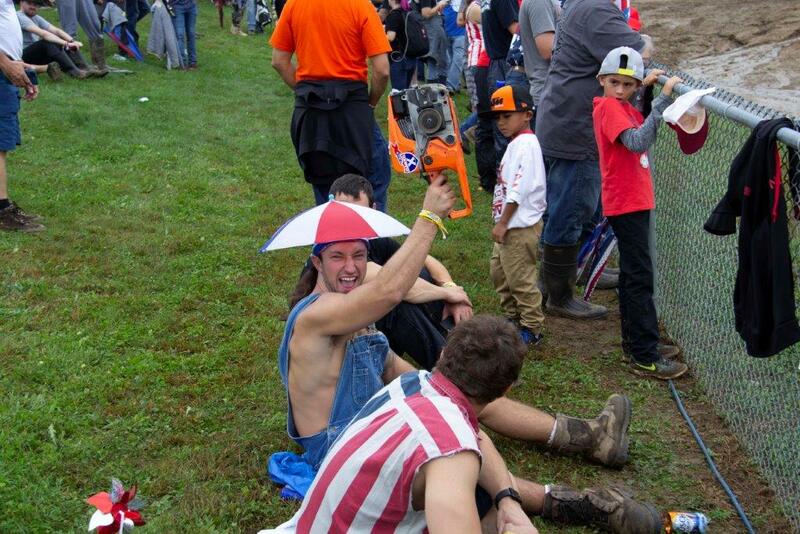 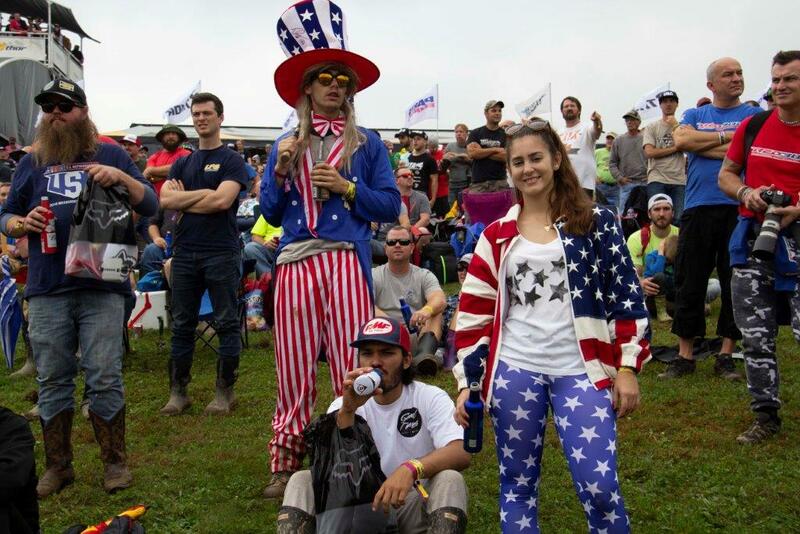 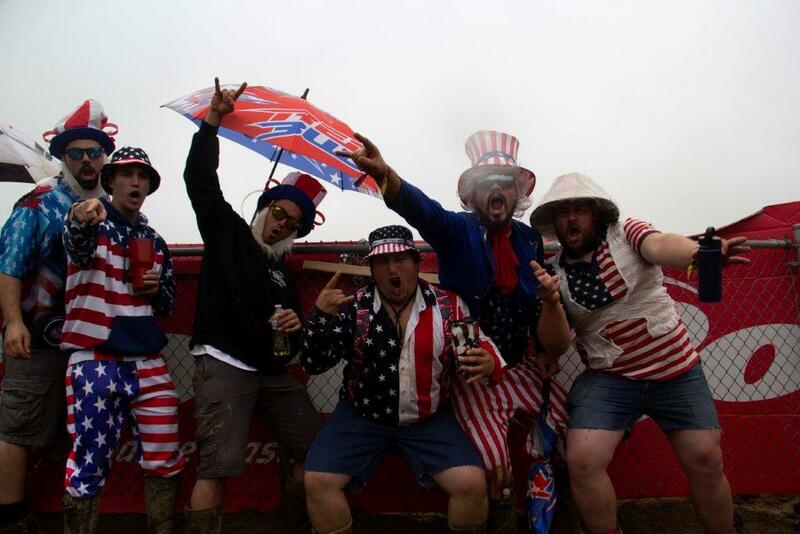 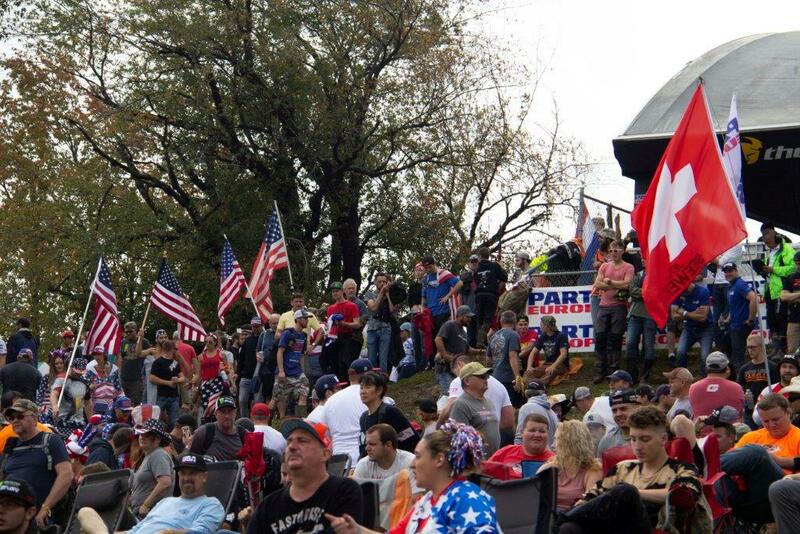 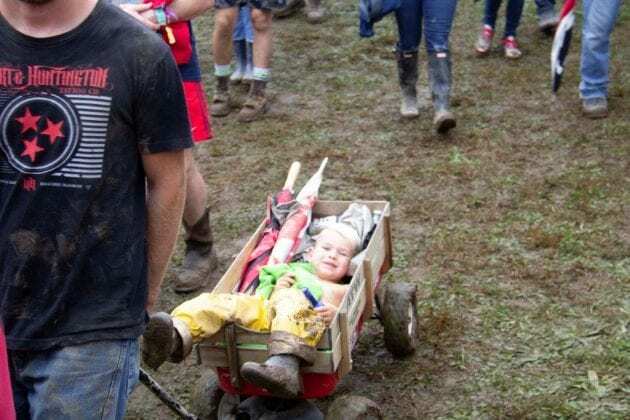 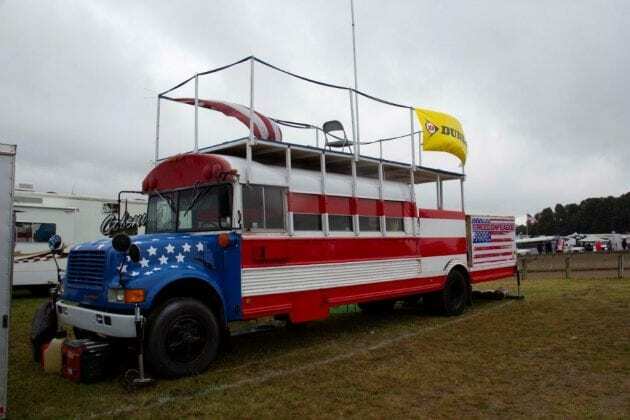 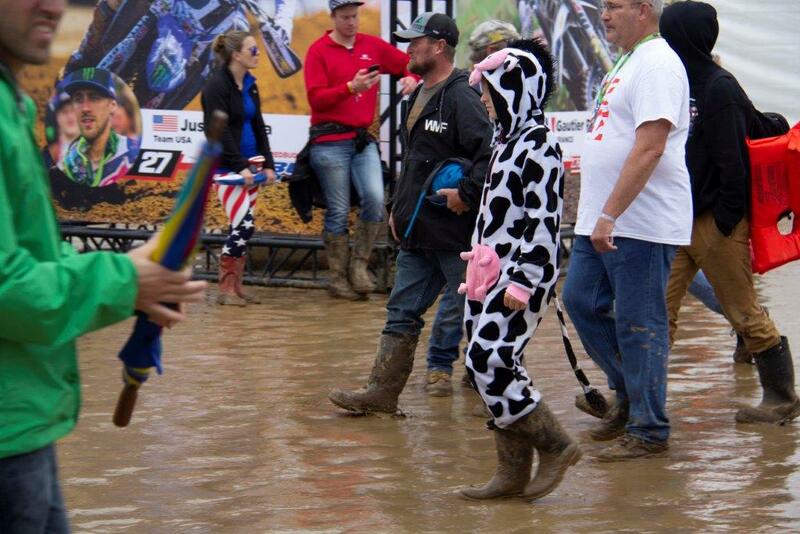 Here is a sample of the fun had by motocross fans all weekend at Redbud MX.